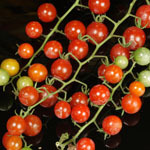 100s and 1000s The name of this cherry tomato should imply that one plant can bring out a lot of pods. That´s true, a hundred can be easily made but a thousand might be exaggerated. Very sweet fruits with good flavour, just snack them raw. 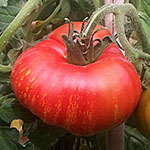 Big bush tomato, also suitable for hanging baskets. 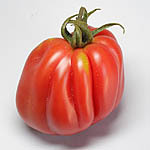 A Grappoli Corbarino Great Italian grape tomato with excellent taste and high yields. 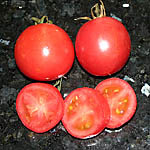 Early crops. 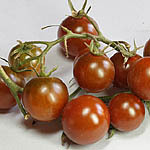 A Grappoli d´Inverno Italian cherry tomato with very good crop and excellent flavour. In South Italy the pods are hanged up in bundles and like this last very long time. 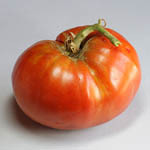 Abraham Lincoln Old tomato variety from the United States. 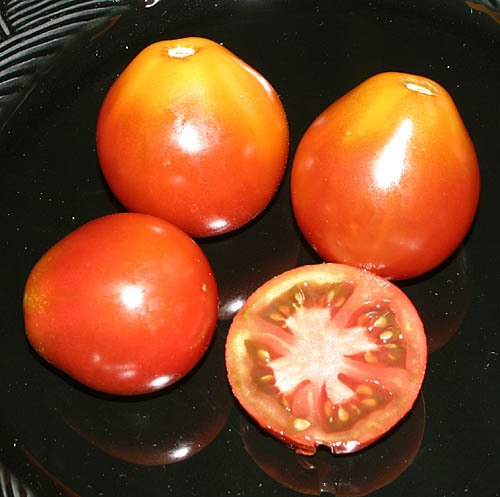 The fruits grow until a weight of 300g and get a strong red coloring. 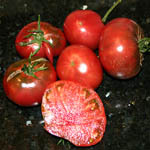 Very persistant variety. 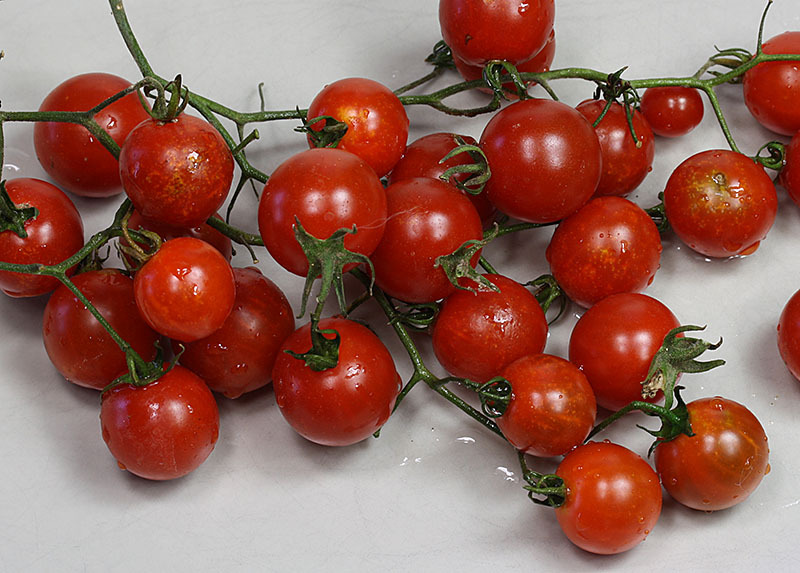 Ace 55 VF Very good variety with fruits up to 100g. The plants are resitant to Verticillium and Fusarium. Alaska Early and sturdy tomato variety, which can be cultivated outdoors in a semi-favorable climate. 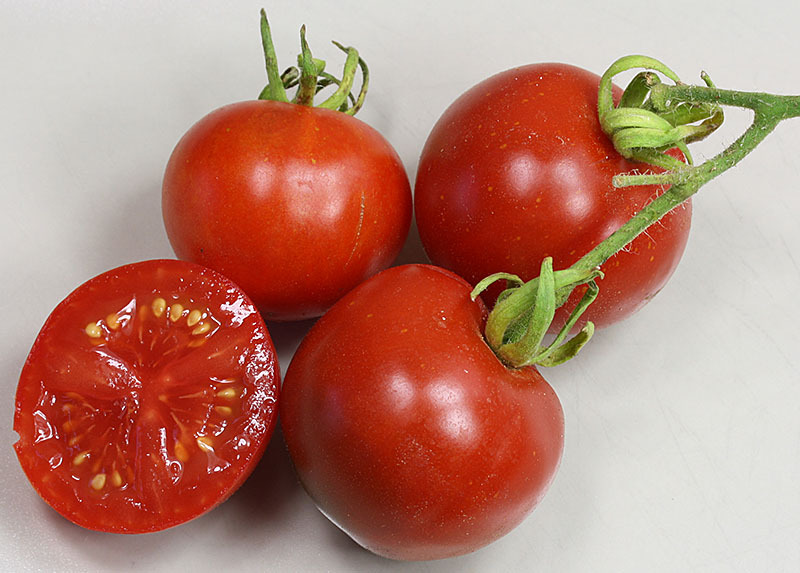 Dark red, delicious fruits with an average diameter of 4-5cm, high yield. 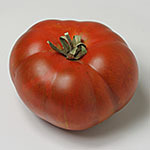 Alicante Medium-sized, dark-red tomato with excellent flavor. 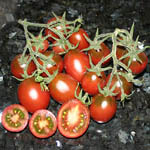 Early fruit setting. 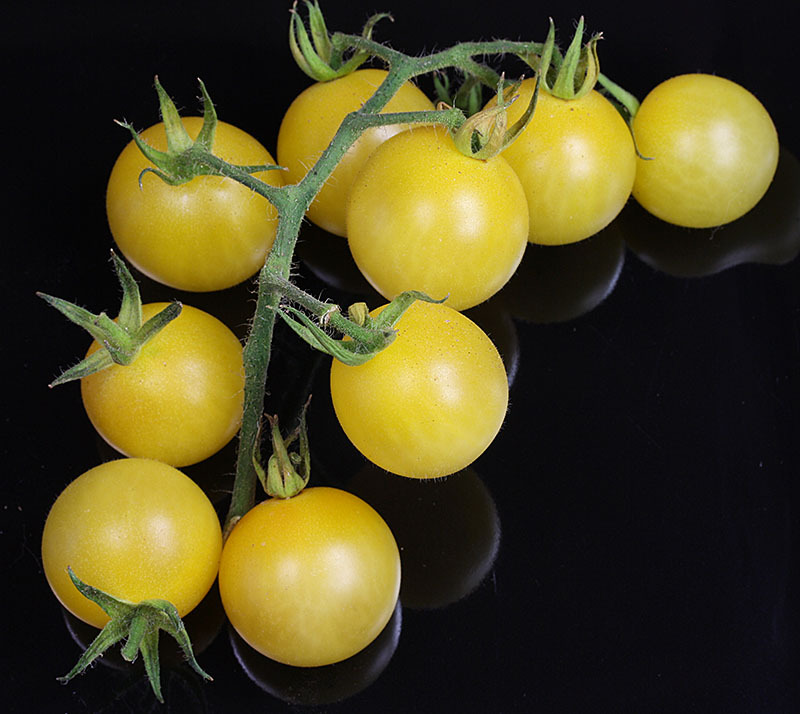 Ambrosia Gold One of our personal favourites! Golden cherry tomato with high yield and very sweet flavor. 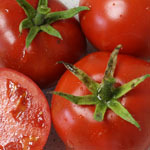 Excellent to be combined with mozzarella and balsamic vinegar. Amish Paste Old tomato variety from Wisconsin, United States. 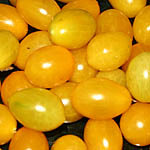 Very fruity pods with excellent flavour, weight up to 150-200g. 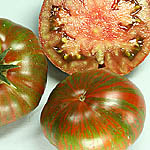 Ananas Noire Intersting mottled large tomato with good, spicy taste. 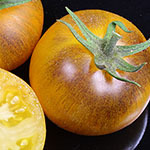 Anna Russian Old heirloom tomato from Oregon, USA. 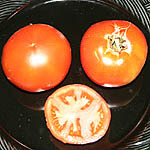 It is said that this tomato had been imported from Russia long time ago. 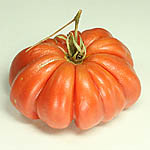 Large juica fruits with a weight up to 400g. Arkansas Traveler Old American heirloom with mild taste. 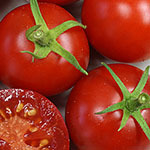 Fruits have a weight around 125g. 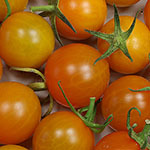 Auriga This nice, orange-red tomato comes from the Eastern part of Germany and has a very good balance between acidity and sweetness. Azoychka Excellent yellow tomato from Russia with irregular shaped large fruits of up to 300g. 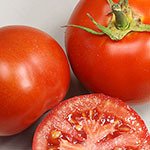 The tomatoes are juicy, sweet and have a very good taste. 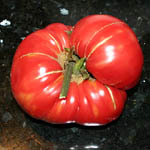 Banana Legs One of the most prolific paste tomatoes. 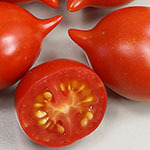 The 4” long fruits can be used for a sweet tomato sauce and are especially delicious when sliced into salads. 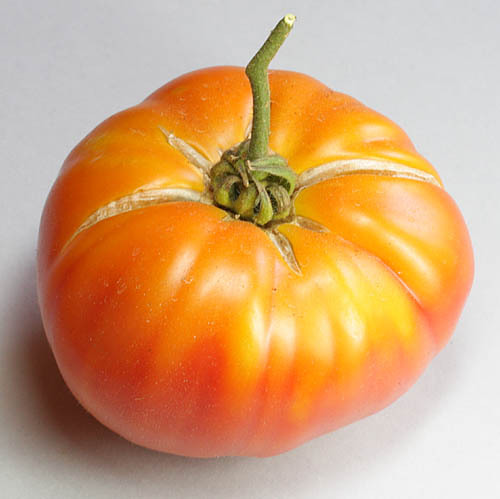 Also great for making yellow ketchup. Determinate growth. 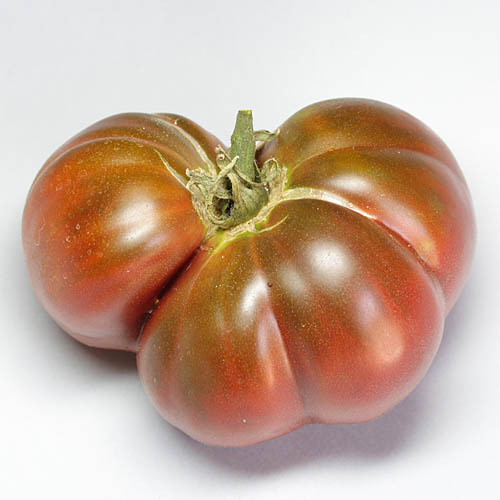 Baselbieter Roeteli Old heirloom from Switzerland with plum sized very aromatic fruits. 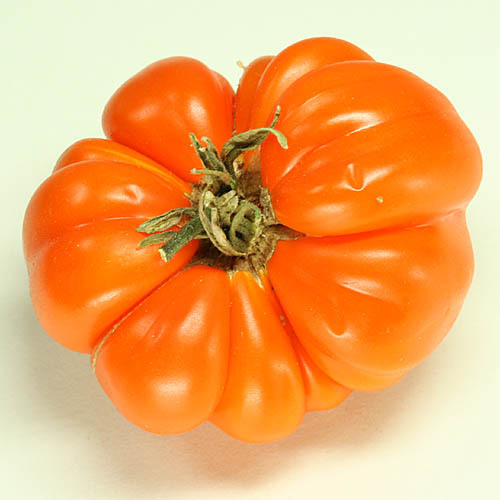 Beefsteak Extra large beefsteak tomato up to 400g! 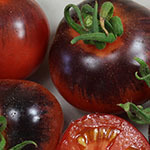 Black Cherry Almost black cherry tomato with very nice flavor and high yield. 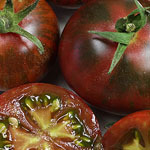 Black from Tula Old Russian heirloom with excellent taste. 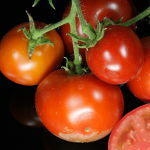 Good crops. 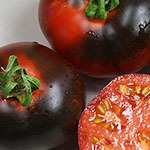 Black Pear Black Pear is a darkred-brown tomato with a weight around 100g with an excellent aromatic flavour. 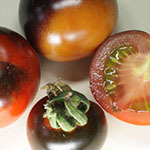 Black Plum The Black Plum provides yields of dark mahogany-colored pods with a fruity and sweet taste. Very suitable to be eaten directly from the plant. Black Prince Also known as Tschernij Prince. 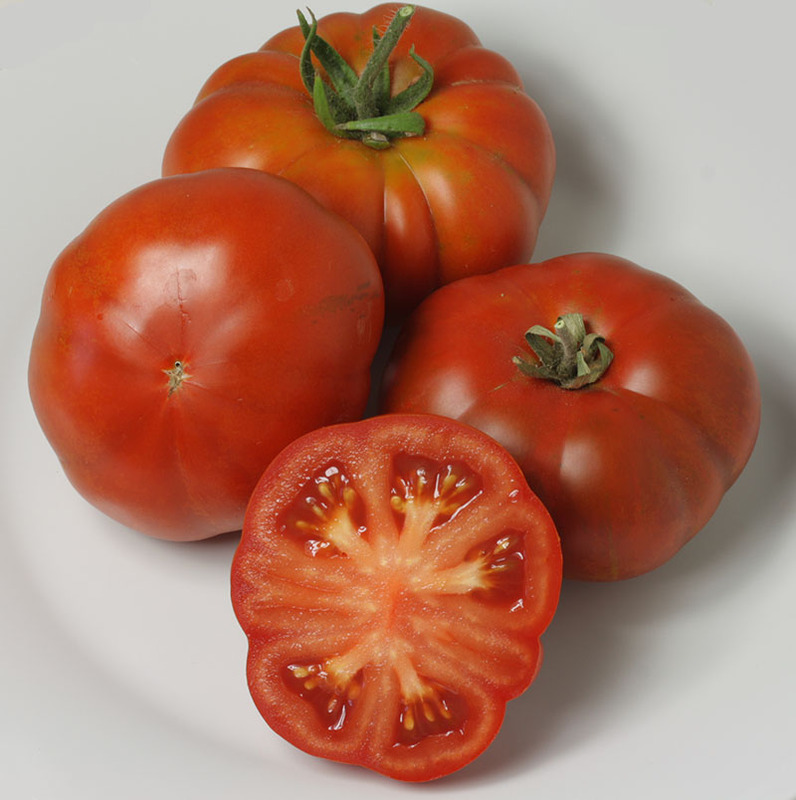 Old Sibirian heirloom with up to 350g heavy fruits. Very good taste with an ideal sweet-sour balance. Black Sea Man Large tomato with interesting inner texture. Very good taste. Determinated growth. 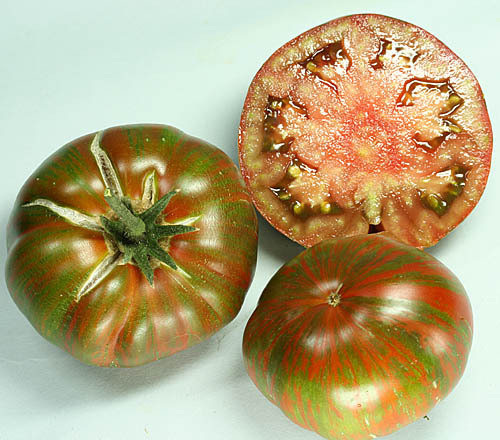 Black Zebra Very tasty mahogany-colored small tomato with green stripes. 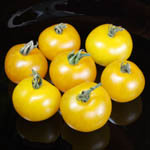 Blondköpfchen Excellent old German tomato variety with a golden yellow coloring and excellent yields. 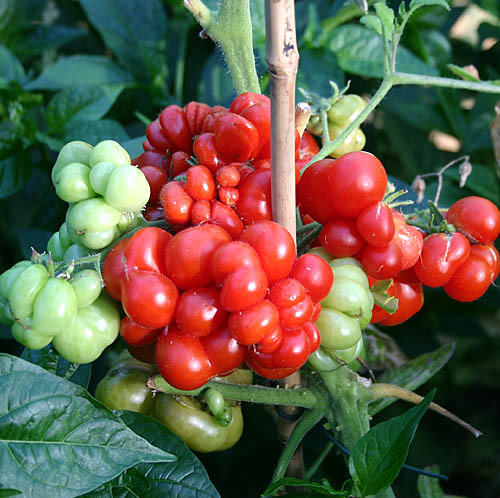 Bloody Butcher Vivid darkred pods growing on very productive plants. Excellent flavour during a long period. 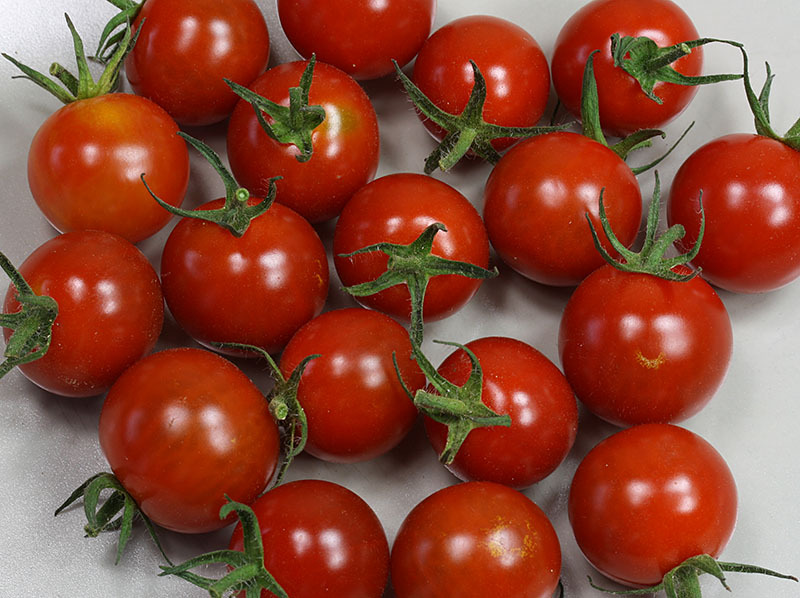 Blue P20 New selection: very beautiful cherry tomato with high yields. 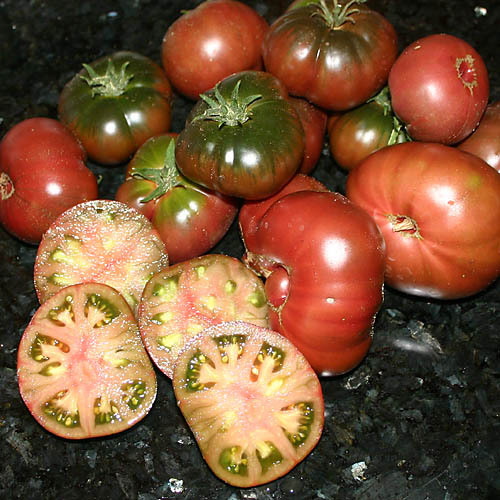 First the pods are almost black and then turn darkred when fully matured. 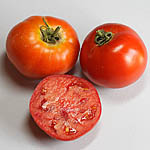 Bonny Best This tomato has been introduces by the Bonny Farm in Union Springs, Alabama in 1908. 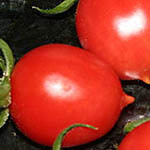 The plants produce high quality fruits and are easy to grow. 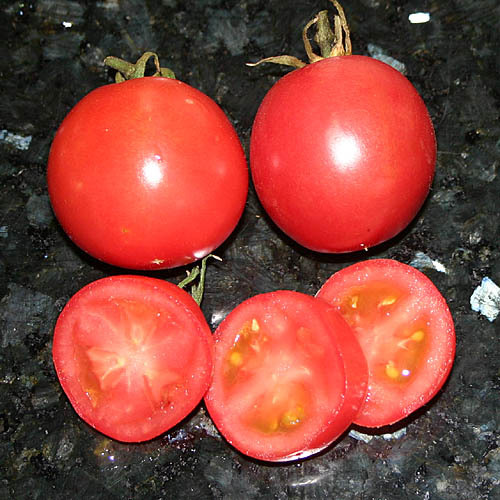 Brandywine Very old culture variety from Philadelphia, which develops beef tomatoes with a weight up to 800g. Very nice and entire flavour. Growing instructions: see general advices. Broad Ripple Yellow Cherry variety, which was discovered in Indianapolis, United States around 1900. Very strong growing plants which need a big bucket. 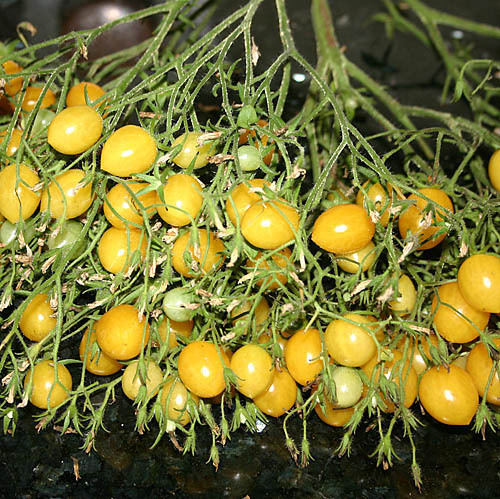 Very often you get more than a hundred of small golden yellow pods per plant! Very sweet taste. Brown Berry Highly aromatic pods with a weight up to 60g. 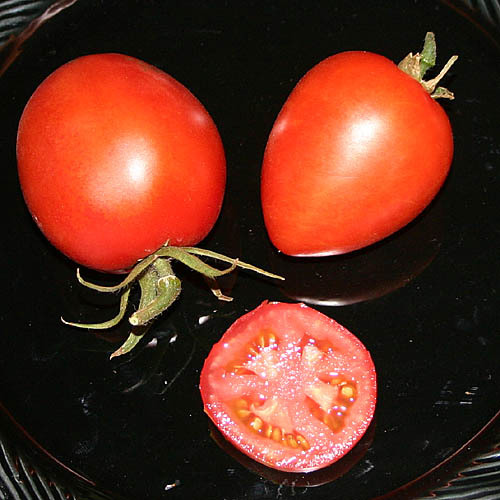 Very well suited to be eaten directly from the plant. 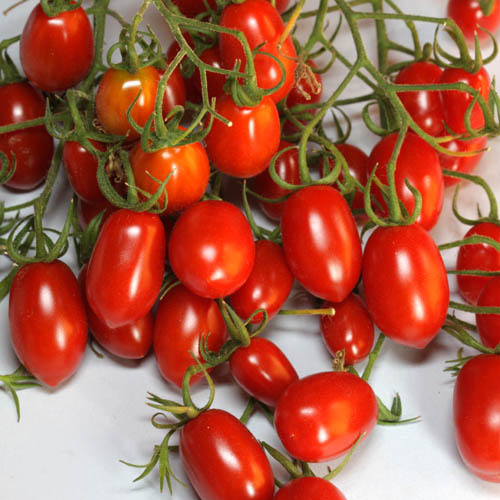 Very productive plant which will provide yields during a long period of time. 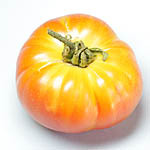 Burracker´s Favorite Very large orange-yellow-red tomato with good taste. Charlie Chaplin Purple colored, corrugated fruits with a bag-shape. 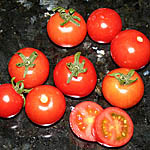 They are well suited to be eaten directly from the plant (fresh) or to be stuffed. 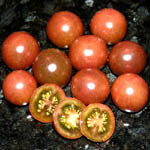 Cherokee Chocolate Selected from Cherokee Purple with good taste and high yields. Fruits weighting around 200-250g. 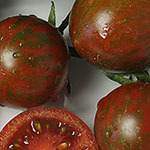 Chocolate Stripes Mohagony colored slicing tomato with dark olive stripes. Excellent taste if not too ripe. 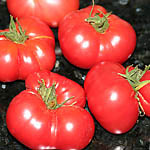 Church Old variety which provides beef tomatoes with a weight of aprox. 400g and an excellent flavour. 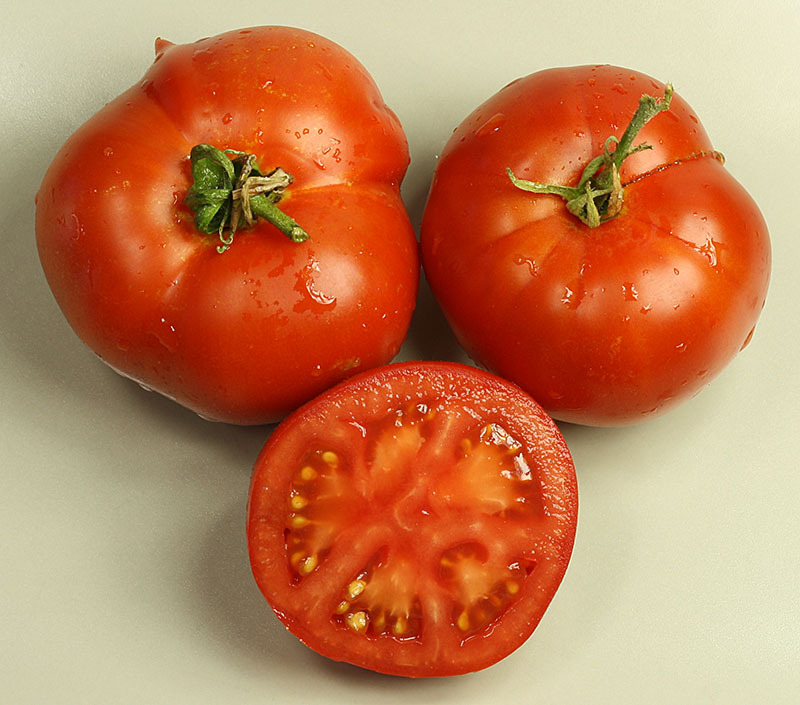 Coracao de Boi The Bullock´s Heart tomato provides pods with a weight up to 500g. 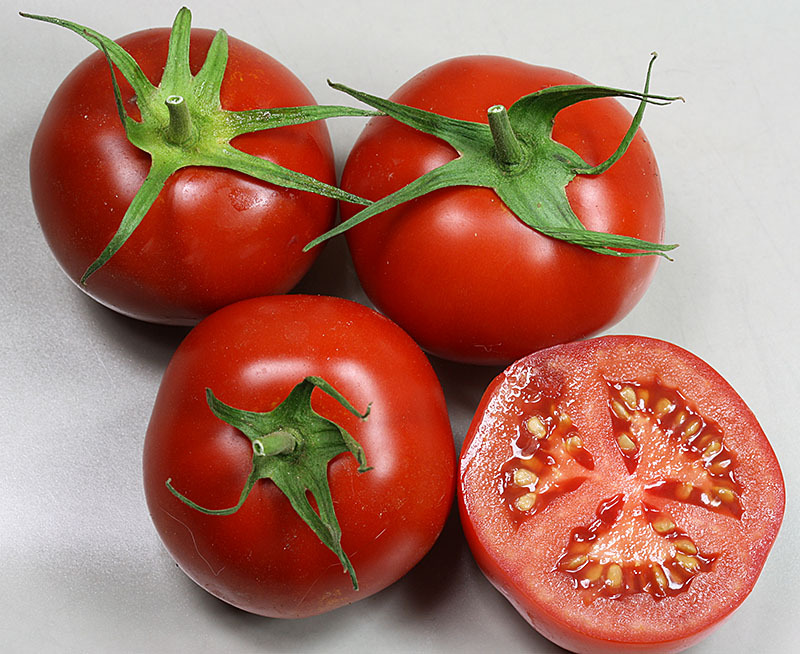 They have a dark red and firm flesh with an excellent taste. 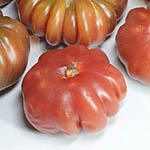 Costoluto Genovese Old Italian tomato from the area of Genoa. 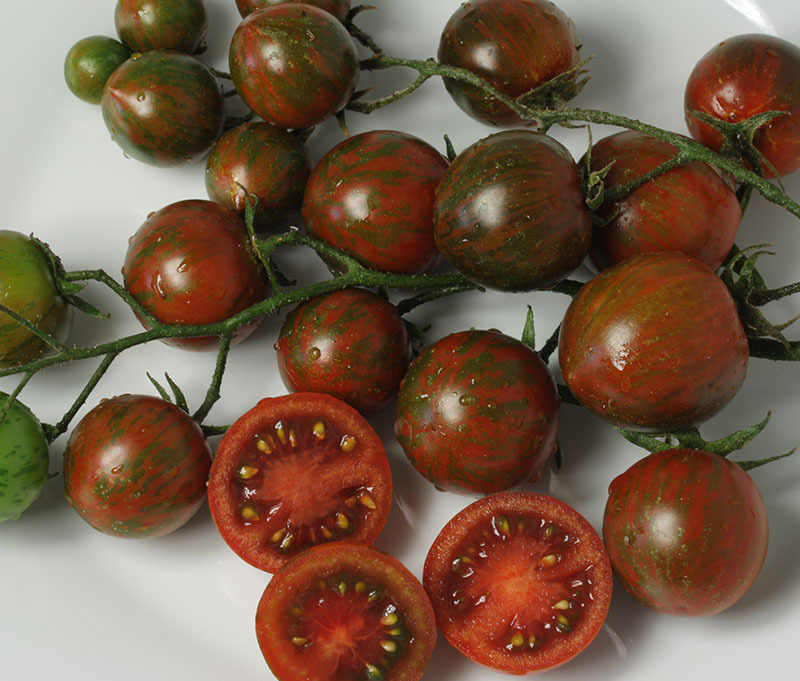 Deeply ridged and dark red tomato which is very juicy and has an excellent flavour. 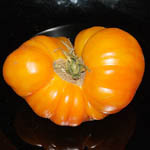 Couilles Taureau (Stierhoden) Heavy beefsteak tomato from Spain with a very good taste. 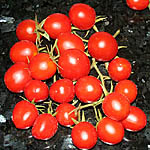 Currant Sweet Pea Red currant which provides hundreds of small and very aromatic fruits per plant. 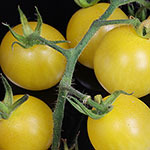 Czech´s Excellent Yellow Very productive variety, which can easily be snacked directly from the plant as well as it is perfectly suitetd for salads. 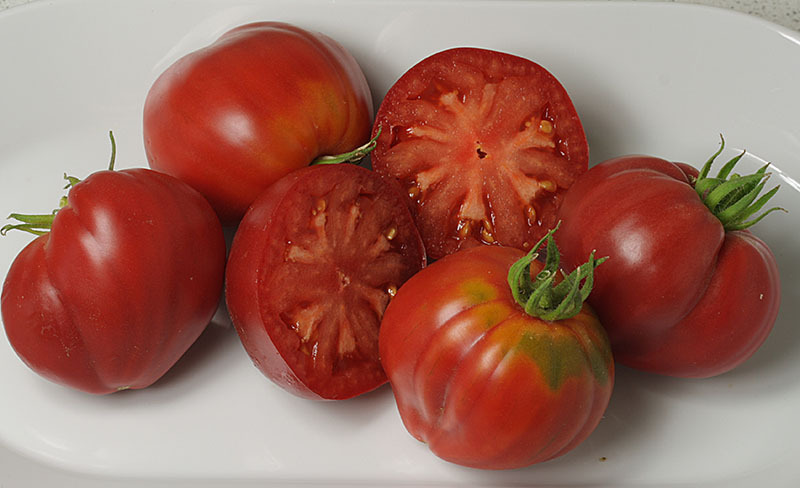 De Barao Red Very popular Russian variety, which is already available in different colorings. 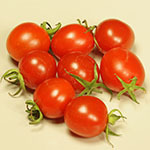 The plants are very well growing and produce aromatic medium sized berries through a long period of time. 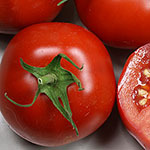 De Colgar Tomato with an especially long resistance. 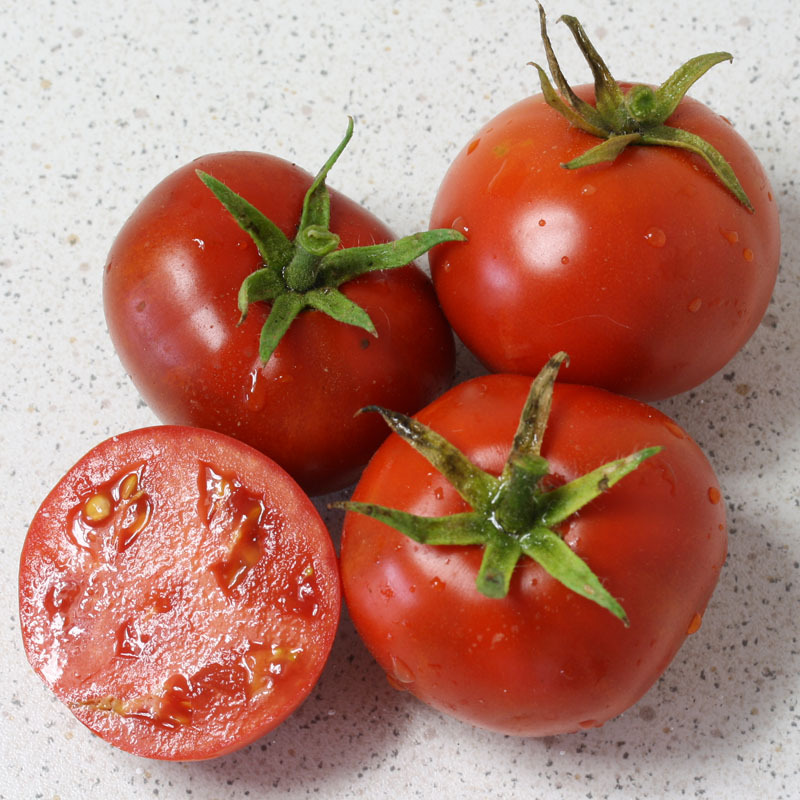 The fruits should be cropped when not completely matured and then maintained in the fridge up to one month. 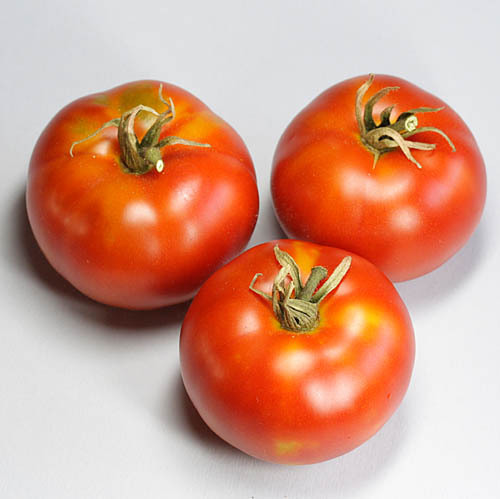 Before consuming them, take them out of the fridge, put them besides some matured apples, and within 2-3 days they will develop an excellent aromatic flavour. 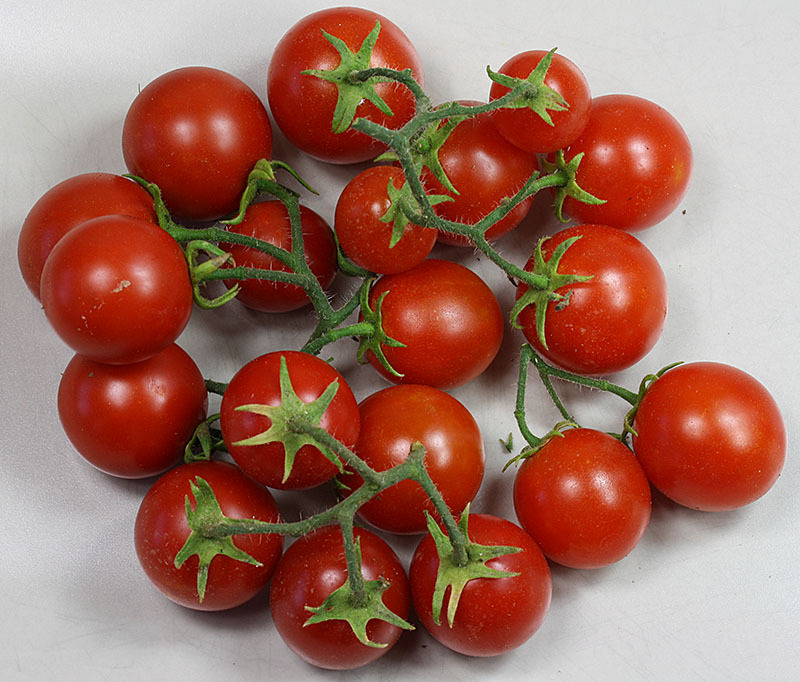 Longkeeper tomato with nice aroma, small to medium sized fruits upd to 40-70g. Delicious The name implies the taste. 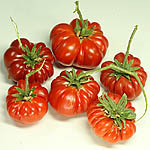 Very large frutis which can reach a weight of 800g and have an excellent flavour. 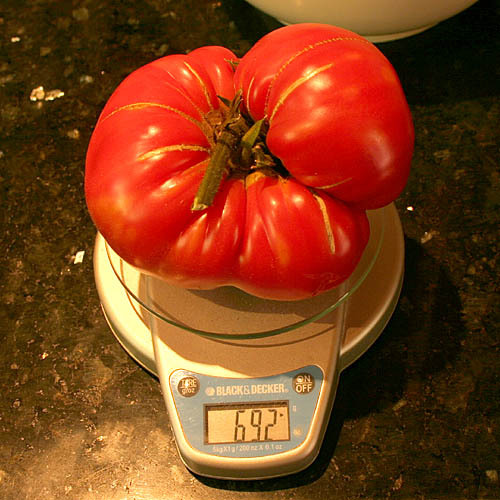 Delicious is World Record holder among the biggest tomato fruits ever grown. 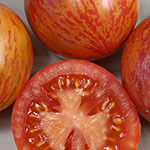 Druzba This old heirloom variety with strong flavour comes from Bulgaria. Pods reach a weight up to 350g. 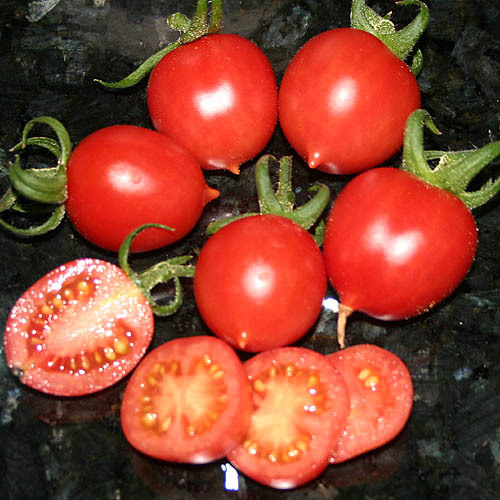 Early Wonder Very early determined growing plants, introduced in the United States in 1950. 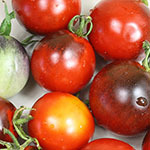 The medium sized tomatoes mature to a purple red and have a very good taste. 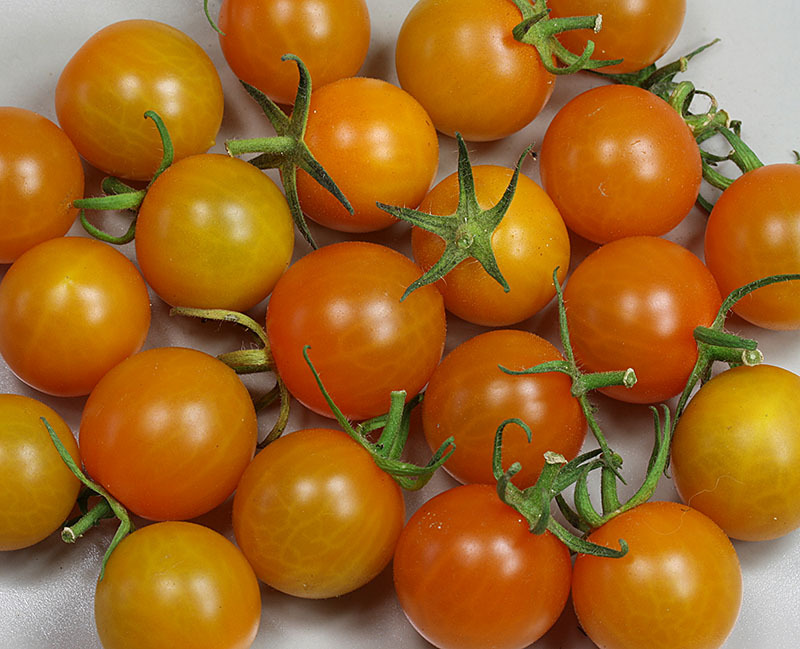 Yields are high, good suited in cooler regions with short vegetative periods. Ernteglück Ernteglück = German: Lucky yield. 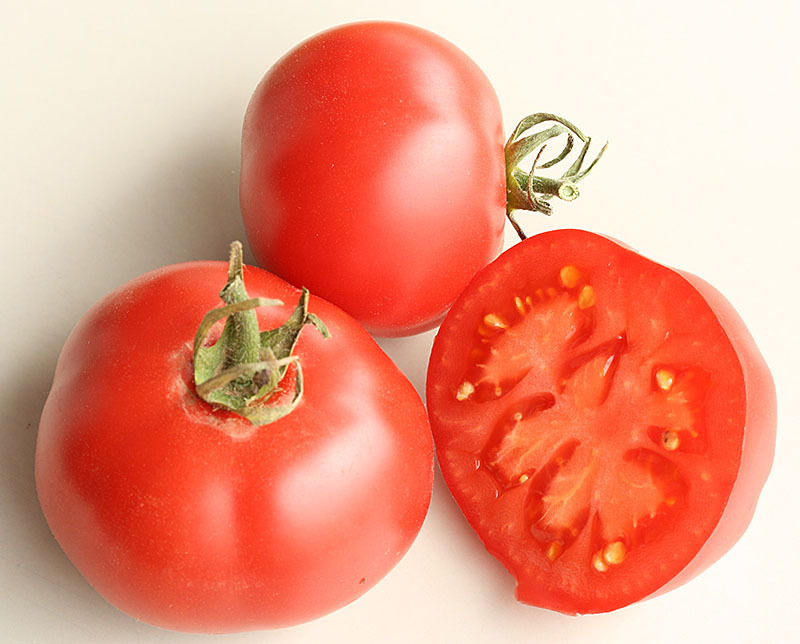 The name implies that you can rely on excellent crops of delicious tomatoes. For sure one of our favourites! 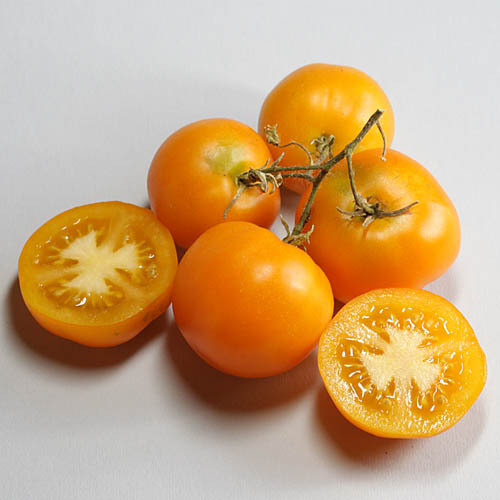 Federle Banana tomato with a lenght of about 10cm which is perfect for salsas or purée. Feuerwerk Medium to large sized beef tomato with nice yellow stripes. 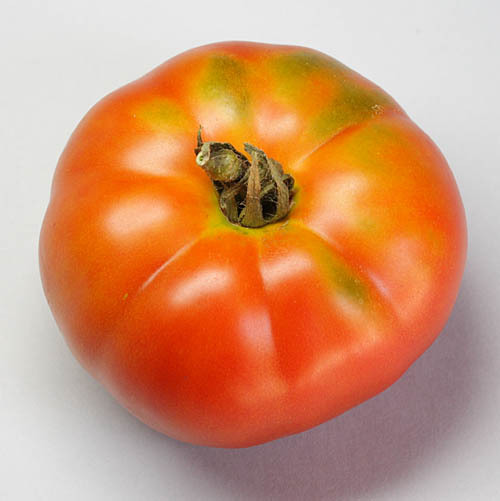 Heirloom with huge growth and splendid flavor. 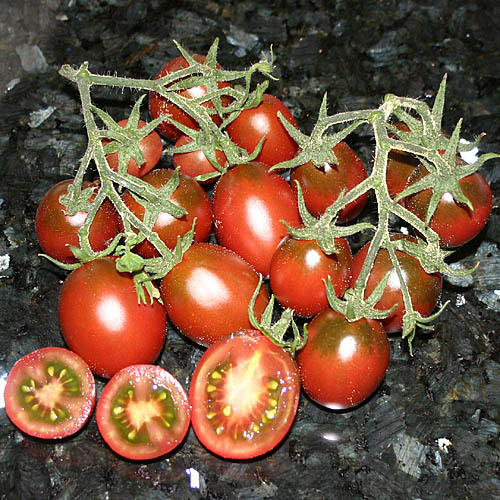 Fraziers Gem Dependent growing plants with 50-80g heavy fruits in branches, excellent taste! 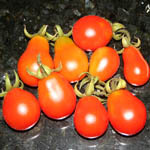 Galapagos tomato Wild tomato from Galapagos Islands with excellent taste and very good yields (Solanum cheesmanii). 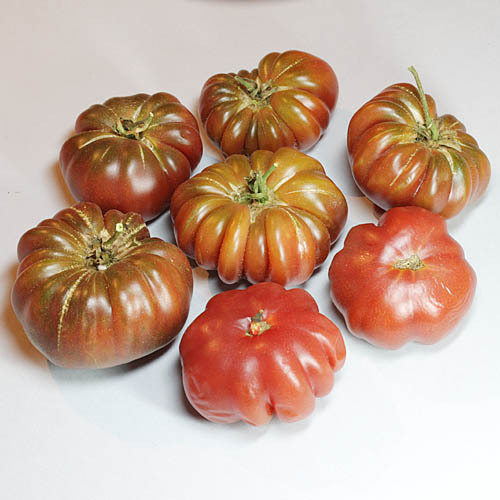 German Johnson Beefy old variety from the United States. 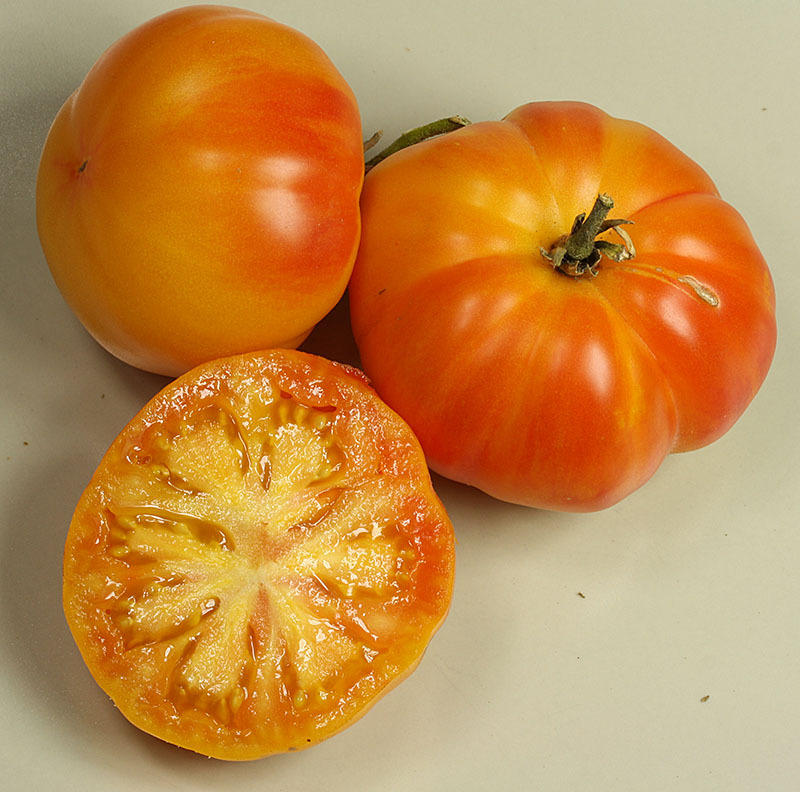 Big pods turn dark red when fully matured and have an orange colored shoulder. The plants are very sturdy. 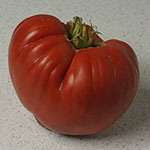 Giant Belgium Very big Belgian tomato which develops a sweet flavour. 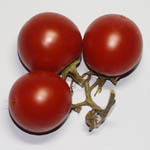 The fruits have an average weight of about 800g, but there may be some which even grow up to 2kg! 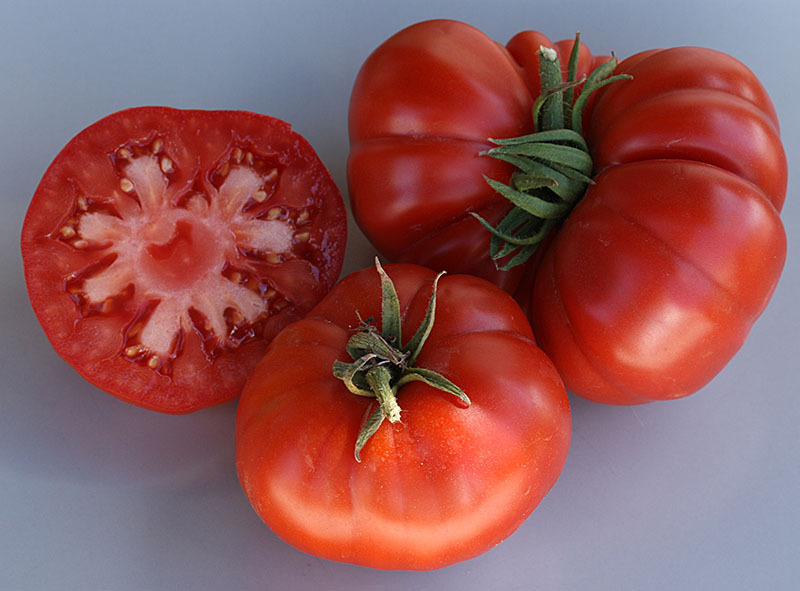 Giant Syrian As the name implies, this variety is coming from Syria. 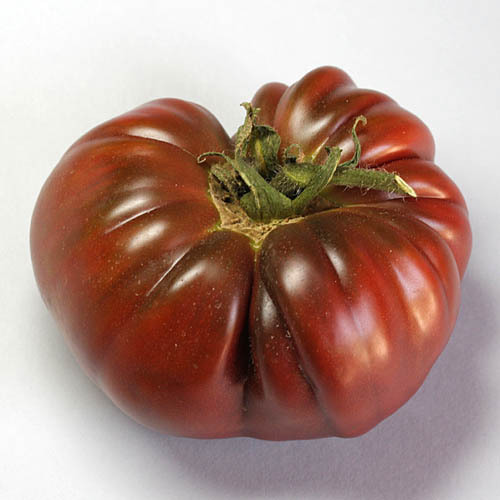 Big purble red beef tomato with often reaches a weight of more than 400g. Excellent flavour! 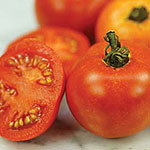 Glacier Early tomato with high yields of medium sized sweet fruits. 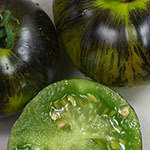 Green Grape Cocktail tomato with excellent flavour. Very good cropper. 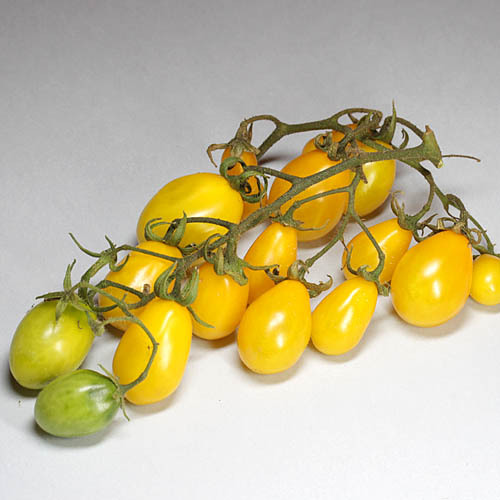 The fruits stay yellow-green colored until their full maturation. Growing instructions: see general advices. 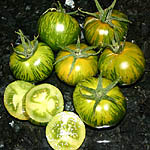 Green Sausage Very unique bush tomato variety with fruits of about 10cm length. When matured they are green with yellow strips. Green Zebra Very beautiful striped variety with delicate flavour. 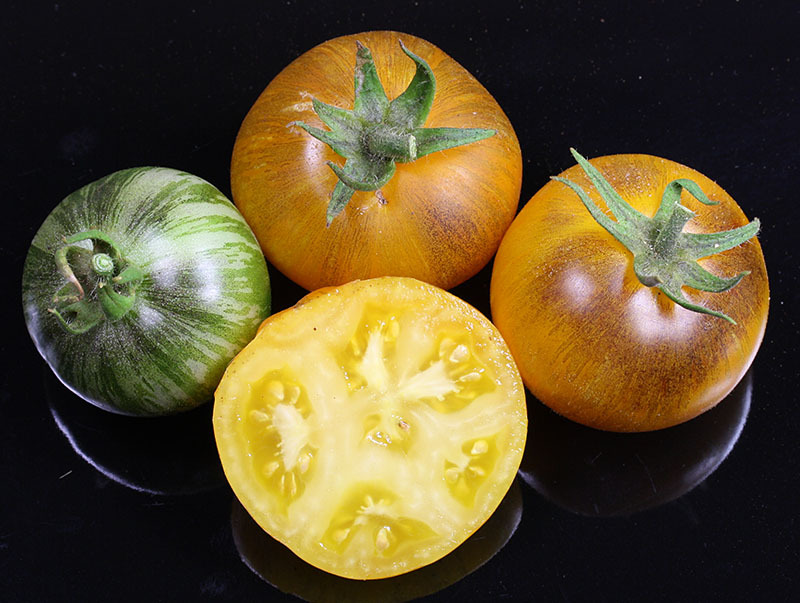 When matured the fruits will be still colored soft green and they get dark green stripes. 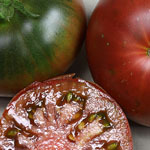 The tastes is even better when you proceed then before they are fully matured! 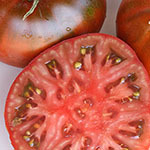 Harbinger Old English heirloom with early and abundant yields of mid-sized tomatoes with a nice flavor. 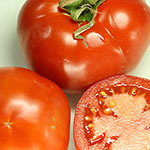 They are also well suited for cooler climate zones. Haubners Vollendung Old German tomato variety which almost became extinct. 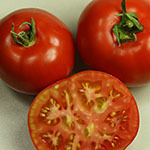 Very good fruit quality, nice flavour and high yields. 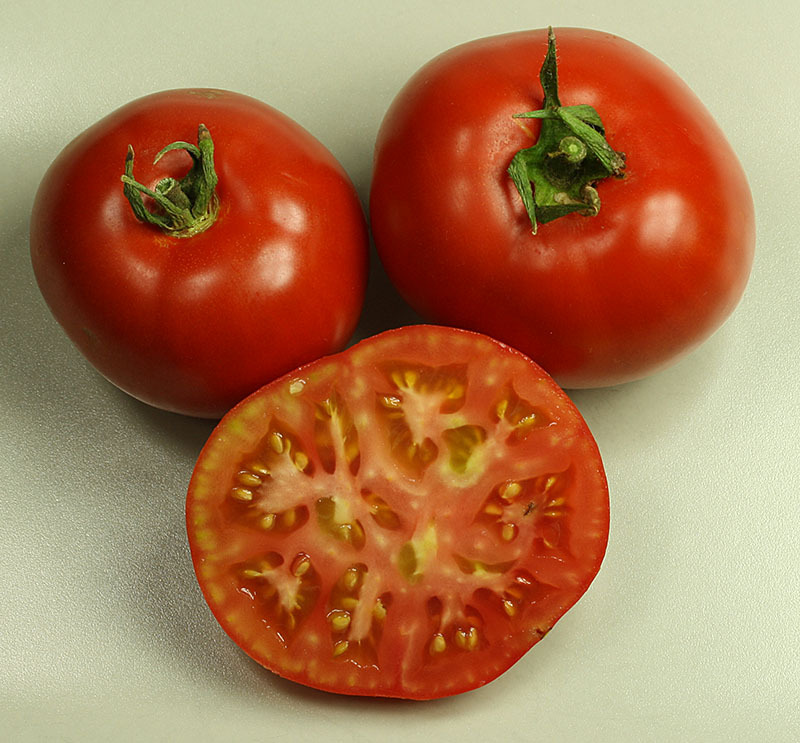 Heinz 1439 VFA American variety from the developing program run by the Heinz Company. 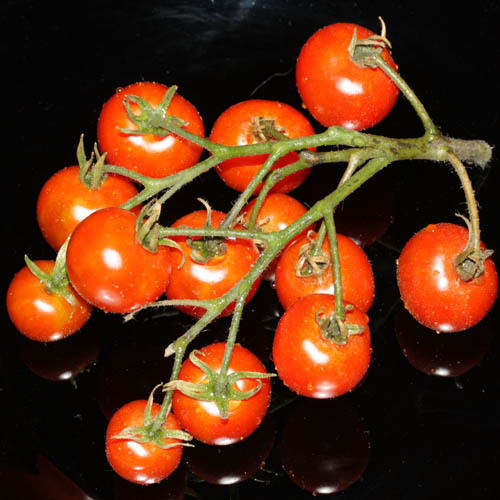 Bush tomato with very good crop and consistently growing pods. Very suitable for salsas. 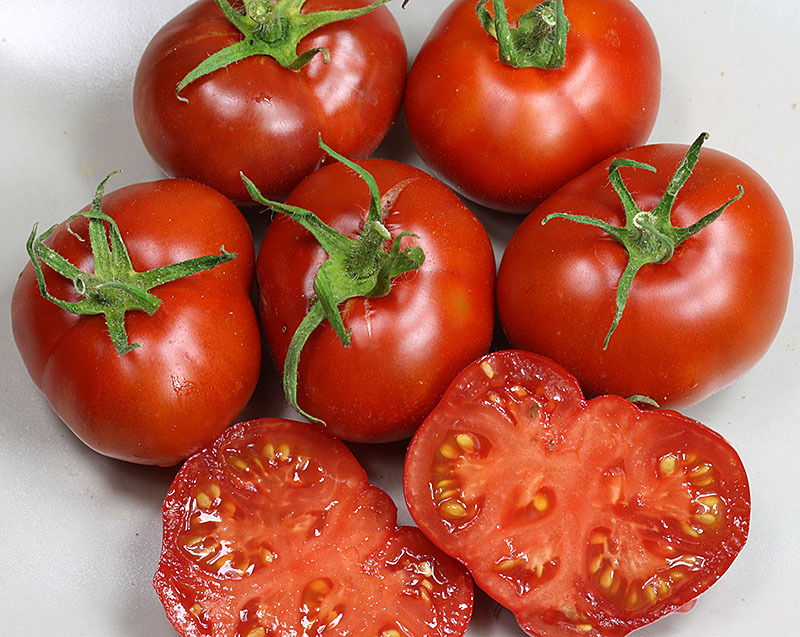 The fruits are used to have a weight of around 125g, they mature red and are very juicy. Resisting potato blight! 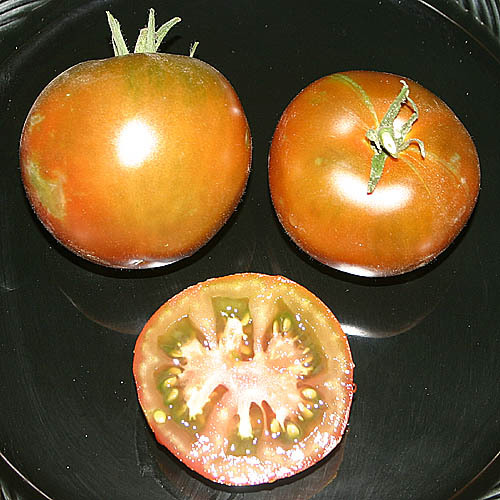 Hillbilly Very productive tomato variety from the United States. Perfect to be sliced over bread or even put inside a hamburger. 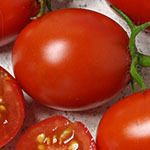 Weight per fruit up to 400g. Created by Jerry Lee Bosner, Ohio. 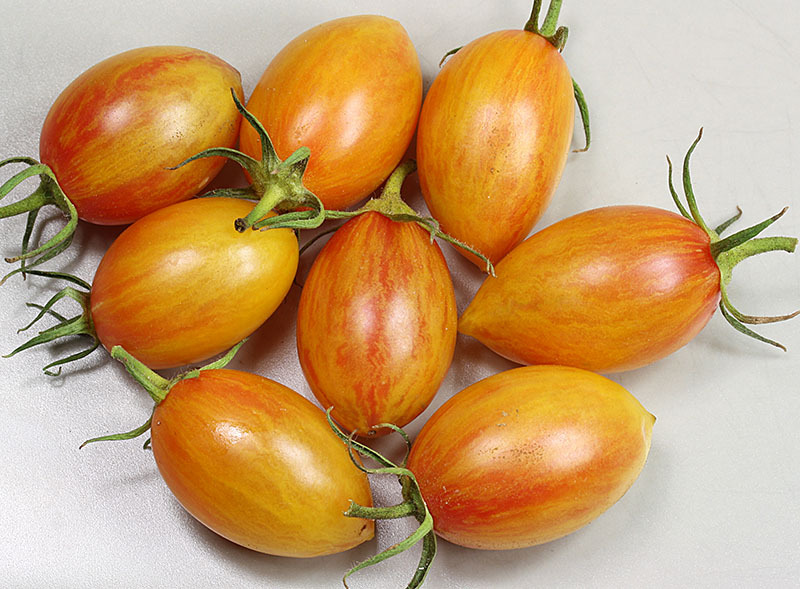 Ildi Very nice date tomato which develops yello grape-sized fruits. Excellent mixture of sweetness and acidity, very high yields. 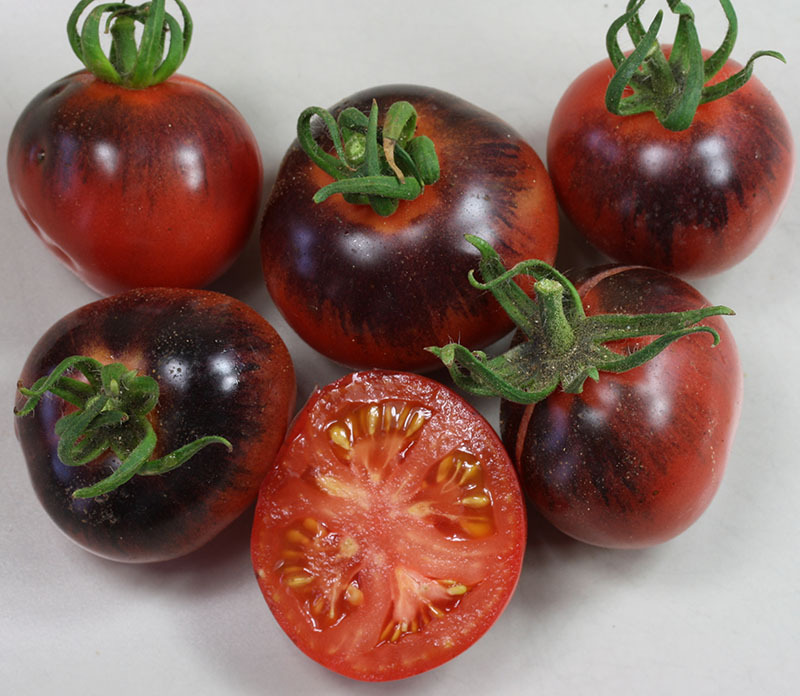 Indigo Apple Medium sized new creation with high level of anthocyanin. 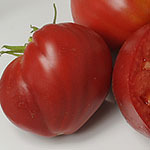 Dark backside and strong red coloring. 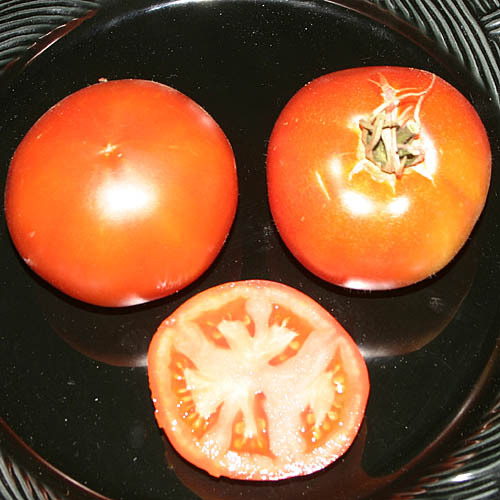 Don´t let if fully mature, you will get the best flavour when the fruits aren´t ripened completely. 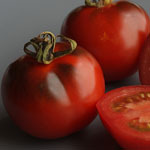 Indigo Blueberry New creation: very beautiful cherry tomato of the indigo series. 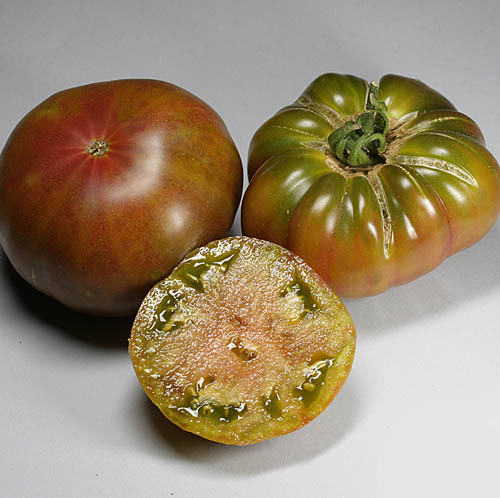 First the fruits are almost black and then during the maturation process they turn to a strong red coloring on the frontside while the backside stays dark. Indigo Kumquat New creation: Crossing of Indigo Rose with a yellow cherry tomato. 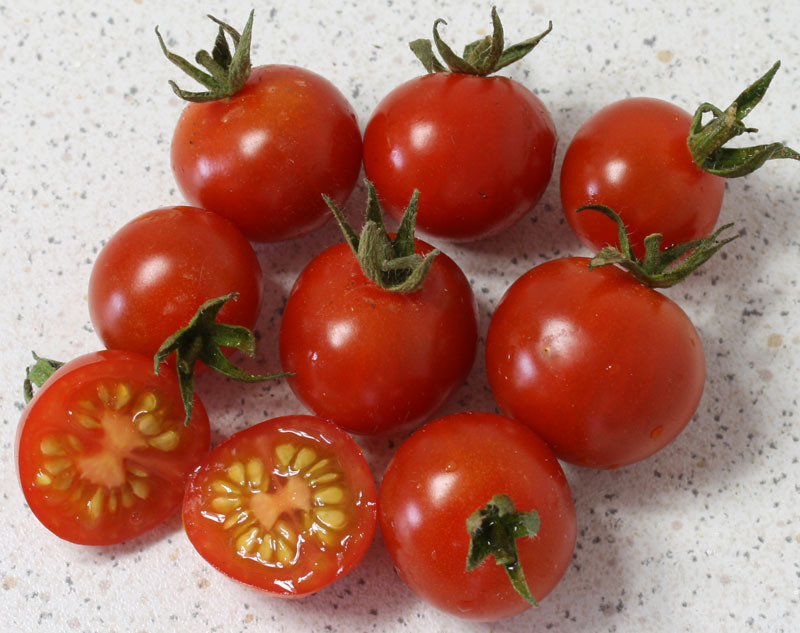 High yields of beautiful fruits with a size of a grape. 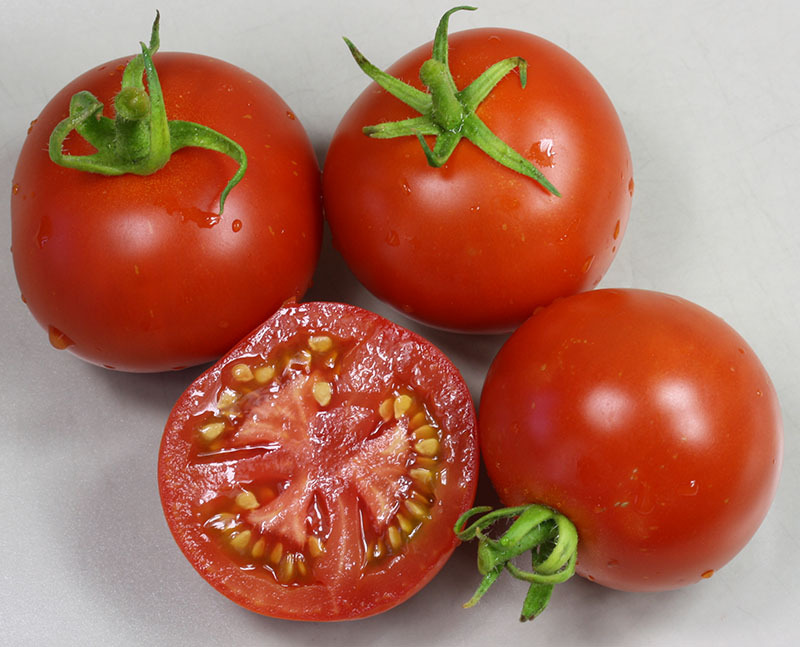 Take them off before being fully matured, then you will get the best flavour. 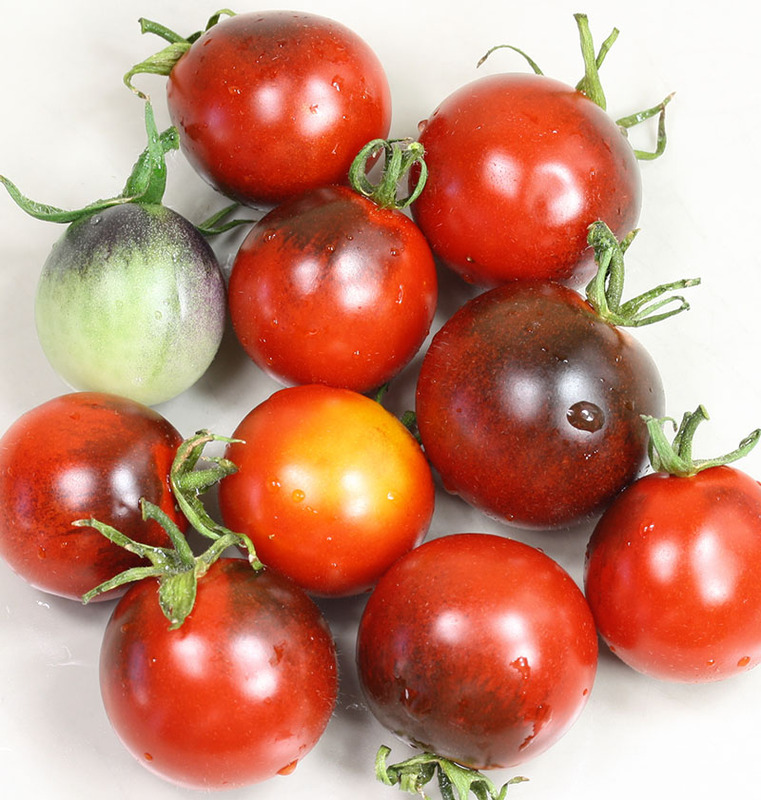 Indigo Rose Very interesing variety with high level of anthocyanin. 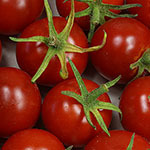 Strongly growing plants with high yields. 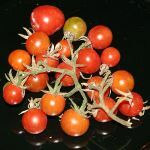 First the fruits are almost black and then when maturing they turn to a strong orange coloring, keeping a dark covering on the stem´s side. 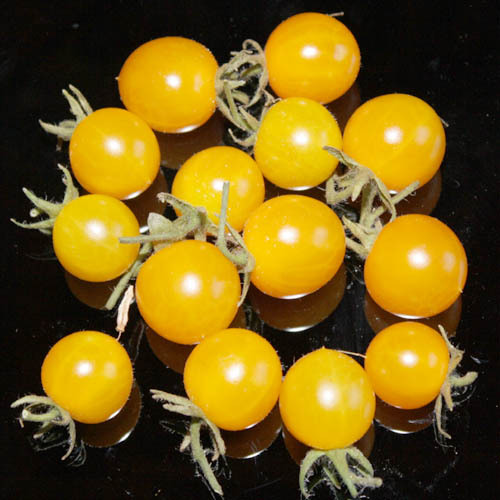 Isis Candy Early cherry tomato, which develops golden yellow colored fruits with red mottling. The tomatoes are very sweet and have an excellent flavour. 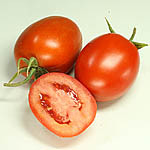 Kimberly Kimberly is an early cropping tomato variety. 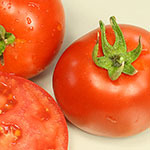 It is able to deal with cooler temperatures and still provides an acceptable yield during the summer season. 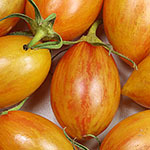 Koralik Nice bush tomato from Russia which has high yiels of small cherry tomatoes. 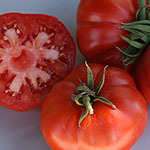 Kosovo This variety provides big, strong and red fruits with an excellent flavour. 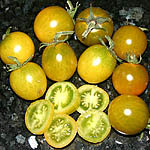 Livingstone Golden Ball Livingstone Golden Ball is an American variety which was already in the books around 1892. Crops are more or less early, and their small and sourish fruits reach a weight of about 40-50gr. 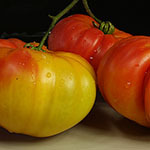 Marmande Marmande is an early and good cropping variety. 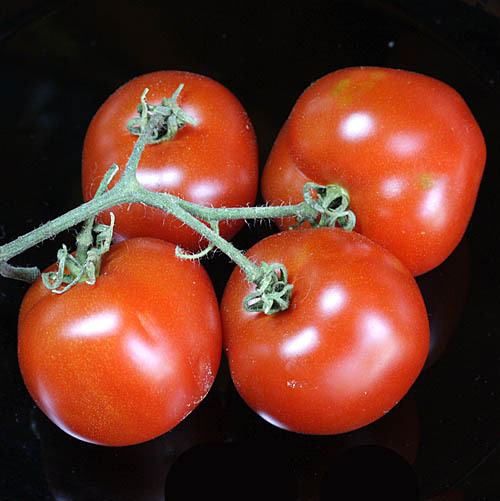 Their flattened fruits can reach a weight of about 200gr and provide a delicious flavour. 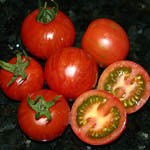 Mexikanische Wildtomate Mexican wild variety. Vigorous well branched plants with hundreds of sweet and very well tasting small fruits. Mr. Ugly Beef tomato with very nice flavour. The pods have a ripped surface and get a weight until 200g. Infinite growth of big plants with excellent crop! 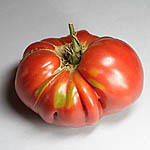 Muchamiel Muchamiel is a Spanish tomato with a medium to big size. 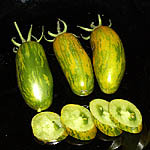 Their fruits are slightly corrugated and have a classic green coloured backside. Excellent flavour! 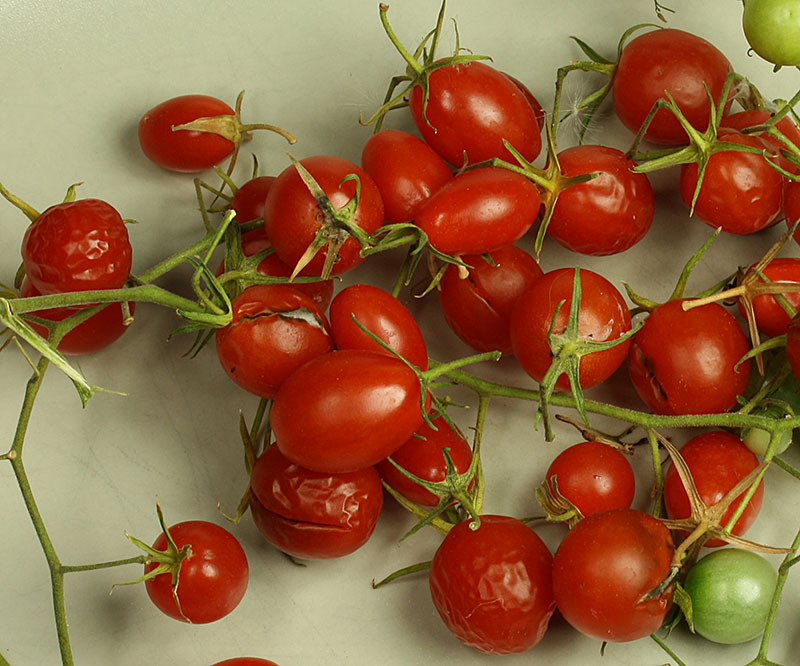 Nepal CL1131 Very early Cherry tomato with deteminated growth. Origin Nepal, good suited for coller climates and short growing seasons. Plants bear loads of very sweet fruits. 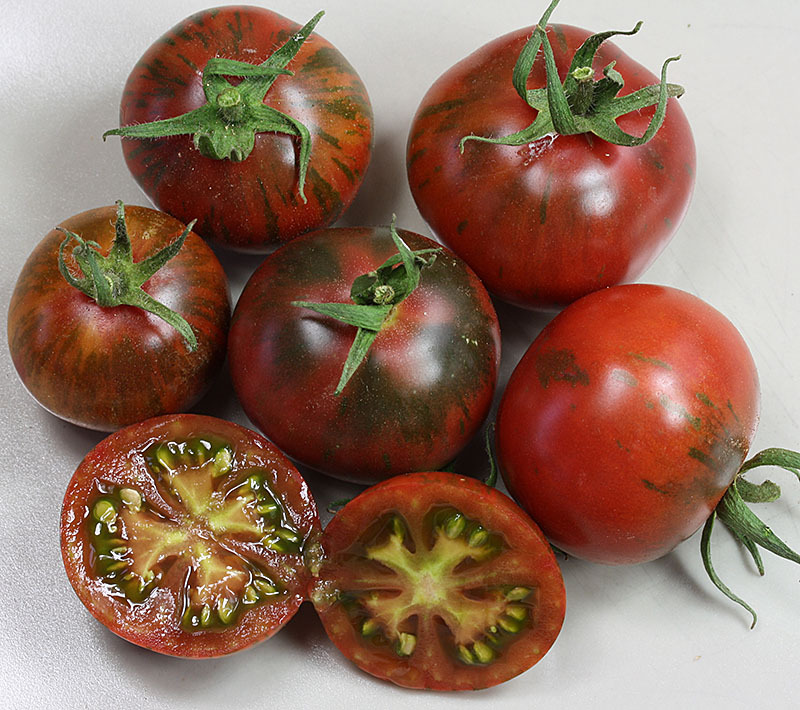 Noire Blue Fruit Up to 350g heavy fruits that ripen to mahagony red with a green-red cap. 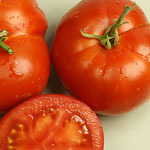 Very juicy and good taste. 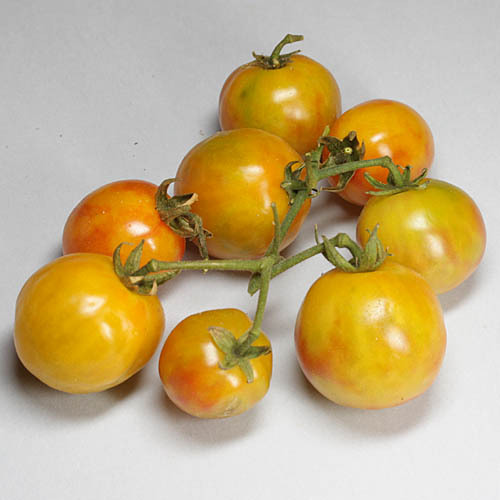 Northern Delight Northern Delight is an ultra early tomato variety from the United States. 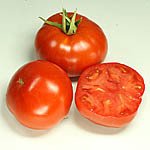 They have been breeded for especially rough areas with short cultivation periods. 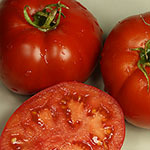 Furthermore, they are partly resistent against late blight. 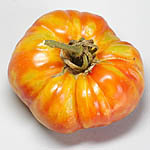 Oaxacan Jewel Interesting tomato from Mexico. 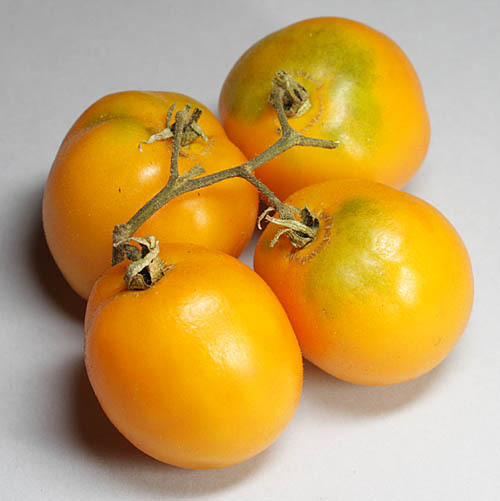 Their orange-red colored fruits have a medium size and provide a spicy, melon-like taste. 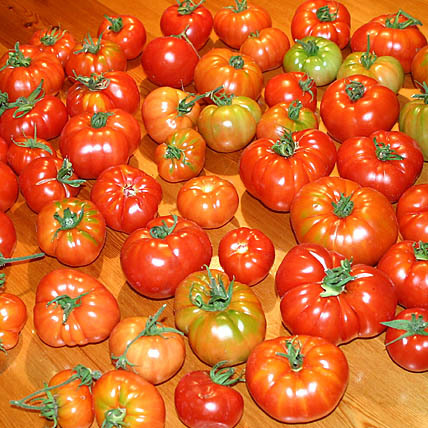 Old German Strong plants that provide very large and heavy (500g per fruit!) 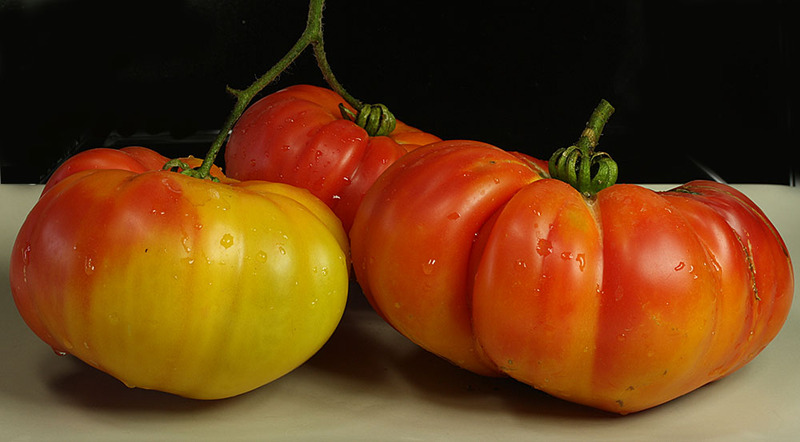 beefy tomatoes with an excellent flavour. 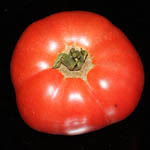 Old Virginia This beefsteak tomato is grown by the Giltner family in Virginia since more than 50 years. 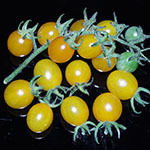 Their fruits can reach a weight up to 450g and provide a nice and sweet flavour. Orange Strawberry Big and strawberry-shaped tomato. 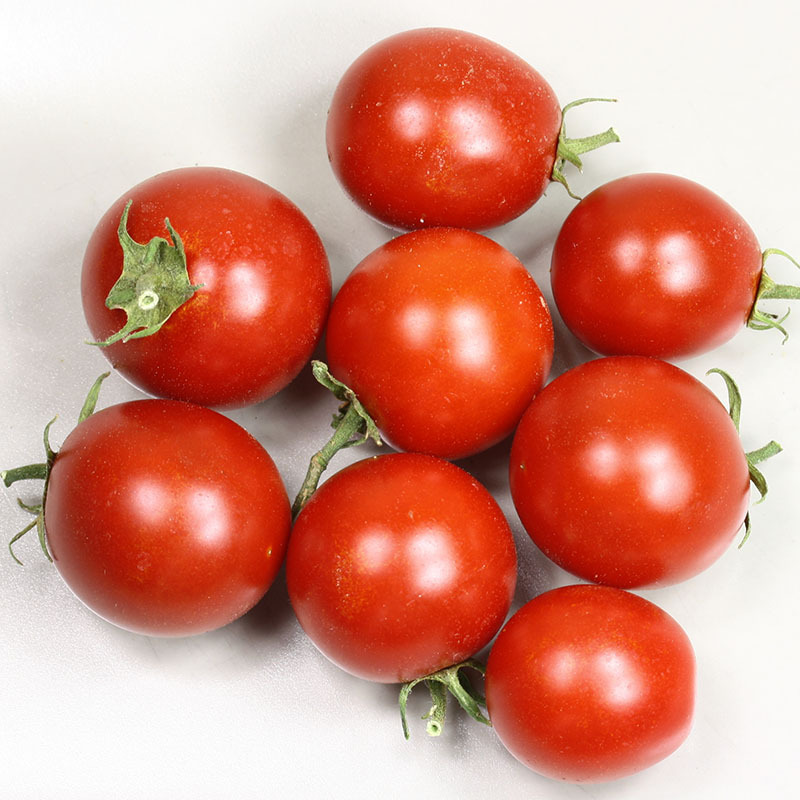 Their fruits can have a weight from 200 up to even 400g and provide a smooth balance of sweetness and sourness. High yields! Oxheart Pink Very big heart-shaped and thick-walled fruits. 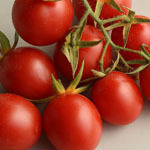 Delicious flavour! Paul Robson Paul Robson is a variety that originally comes from Russia. Their thick-walled and fruity pods ripen to a red-brown coloring and provide an excellent taste. 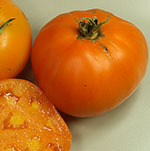 Persimmon Persimmon is a very beautiful, golden-orange coloured tomato with a fabulous flavour. Their big fruits reach a weight up to 800g. Pineapple Pineapple is a variety that provides big two-colored fruits (up to 800g per tomato!) with an excellent flavour. 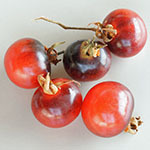 Their fruits are striped on the outside and from the inside and provide a sweet and fruity taste. 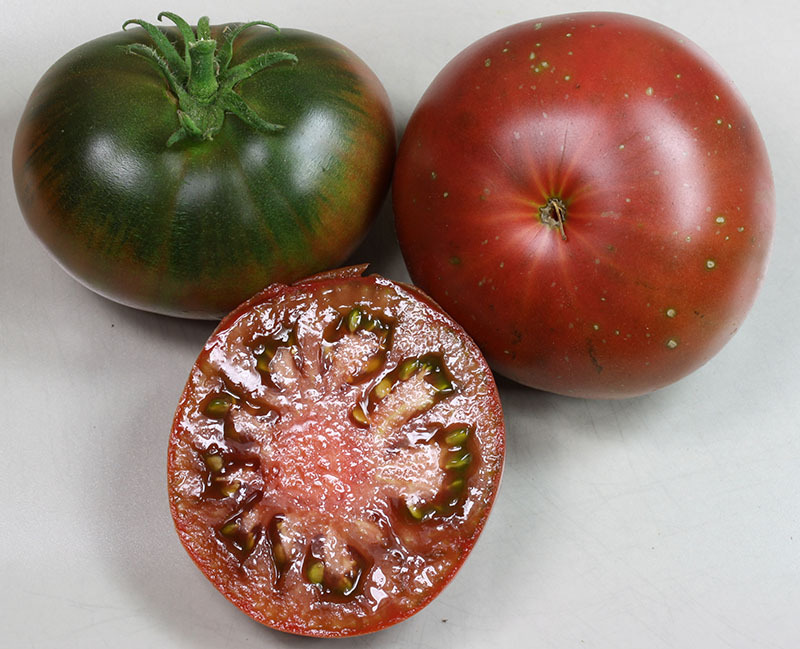 Pink Berkeley Big beeftomato that ripens to a brown coloring with olive stripes. 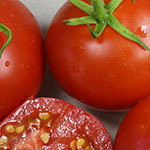 Their fruits provide an especially good flavour when gathered being still not fully matured. 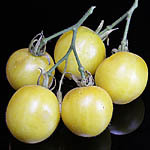 Poire Jaune Poire Jaune - also called Yellow Pear - is a resistant variety that provides high yields. 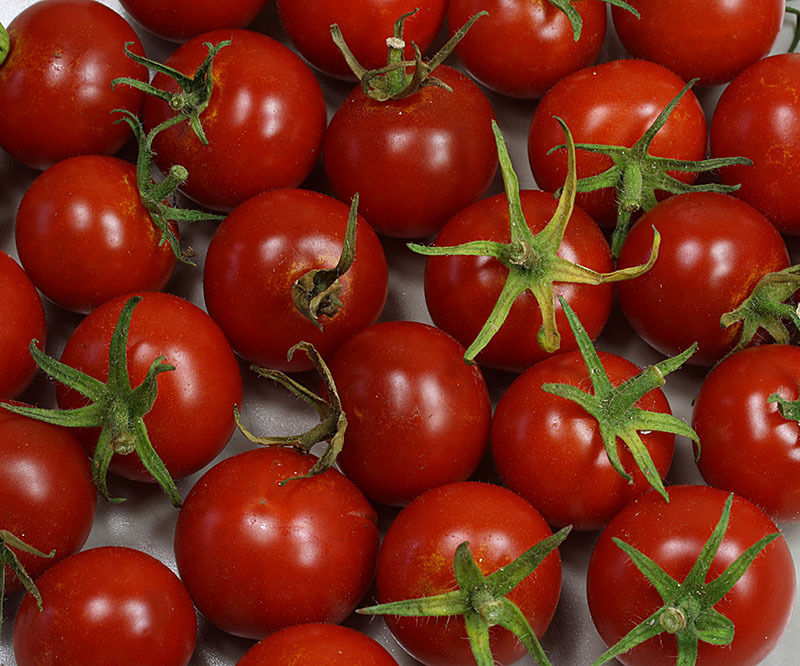 It´s the perfect snack to be eaten directly from the plant. 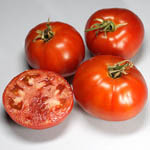 Ponderosa Red Ponderosa Red is a beef tomato which has been cultivated since 1891. 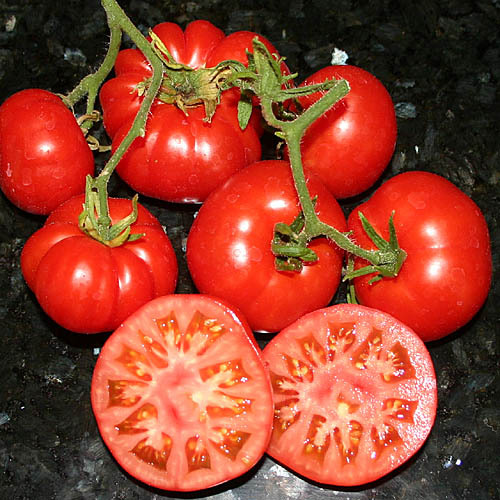 Their big fruits have a partially strongly ribbed surface and provide a sweet and tasty flavor. 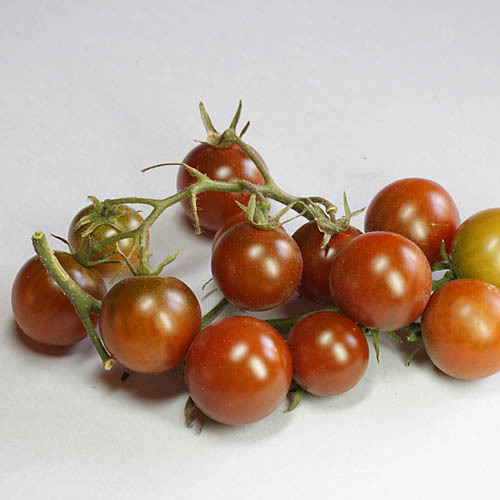 Principe Borghese Early variety that provides bunches of grapes with a uniform weight of about 25g. 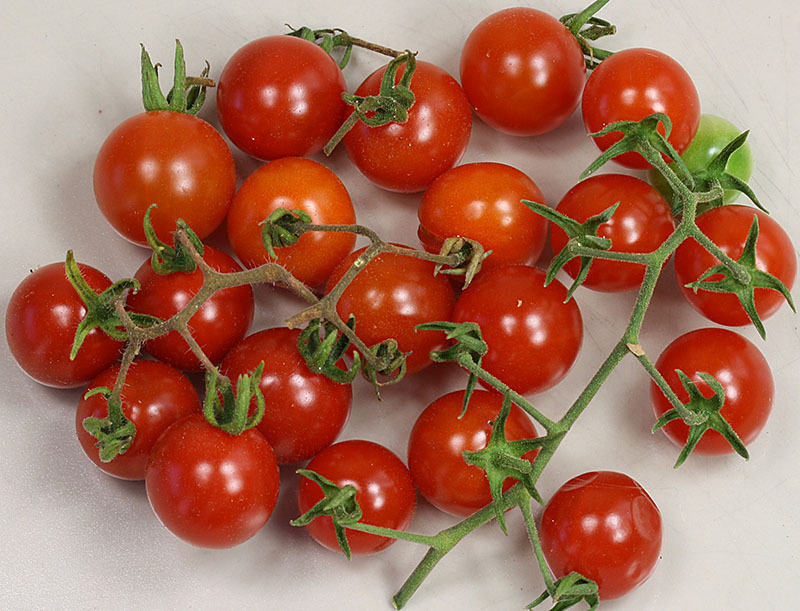 Prinz v. Sachsen Coburg Strongly growing plants that provide high yields of heavy and spicy red beef tomatoes. Their fruits reach a weight up to 300g. 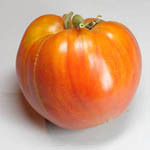 Purple Calabash As the name implies, it´s a purple red tomato. 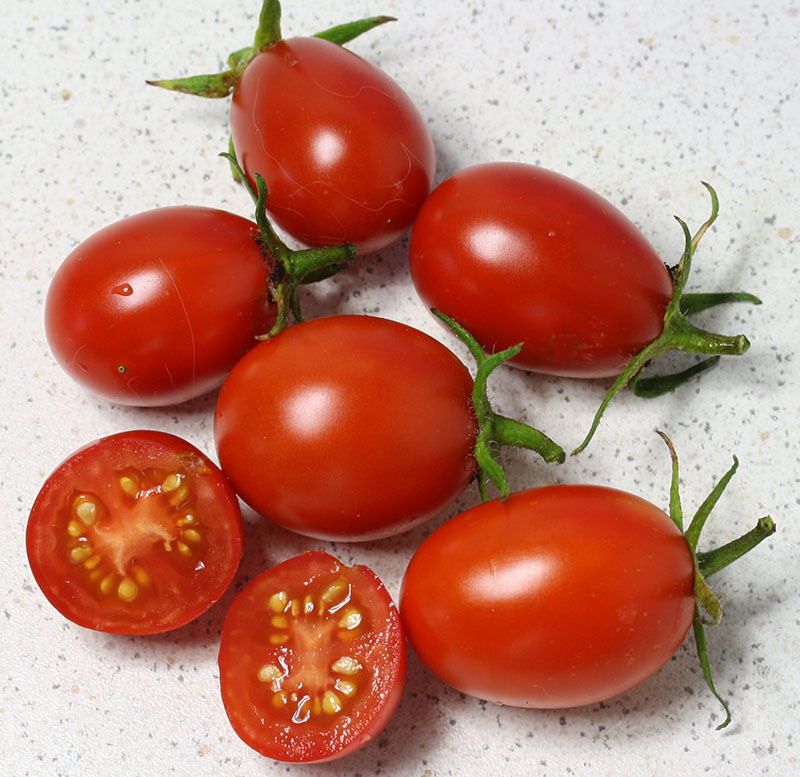 Their shape is unique and the flavor reminds of wine. 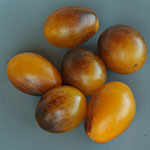 Purple Russian Egg-shaped variety from the Ukraine. 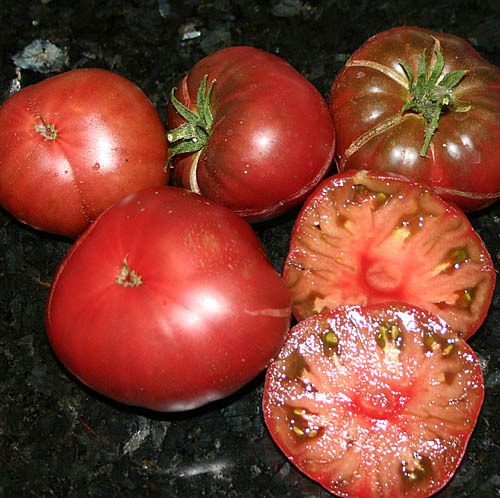 Their fruits ripen more or less equally from wine-red to black. 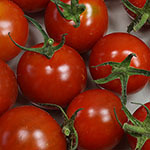 They provide a nice flavor and are easy to stock. 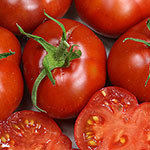 For forther information please consider the general cultivation advices on our homepage. 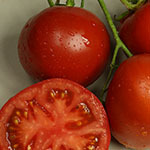 Raf RAF is supposed to be the most expensive tomato in the world. 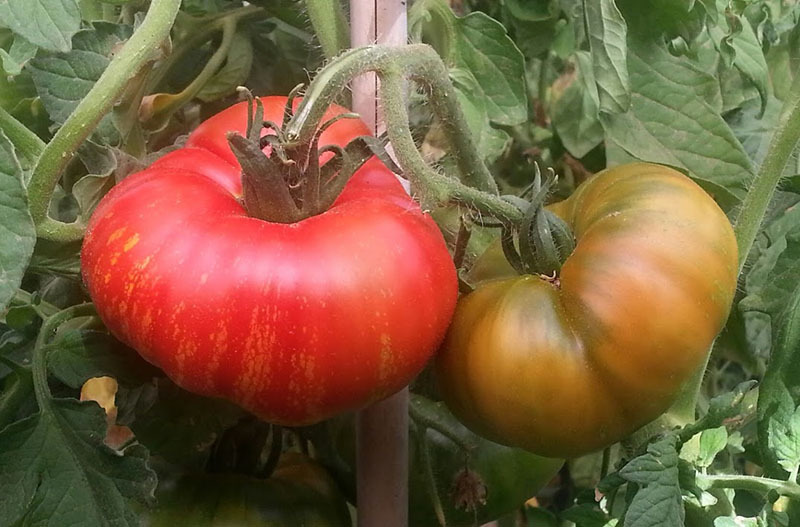 RAF means resiste a fusarium = natural resistance against late blight. 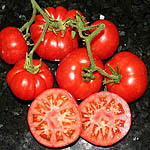 This variety is grown in the South of Spain during the winter time. 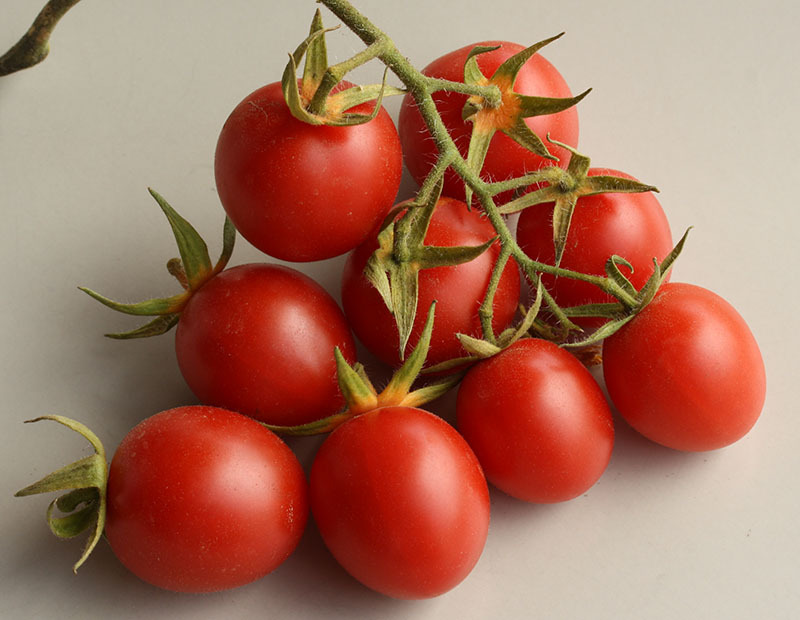 Crops are sold in wooden boxes for a price up to €10 per kg. 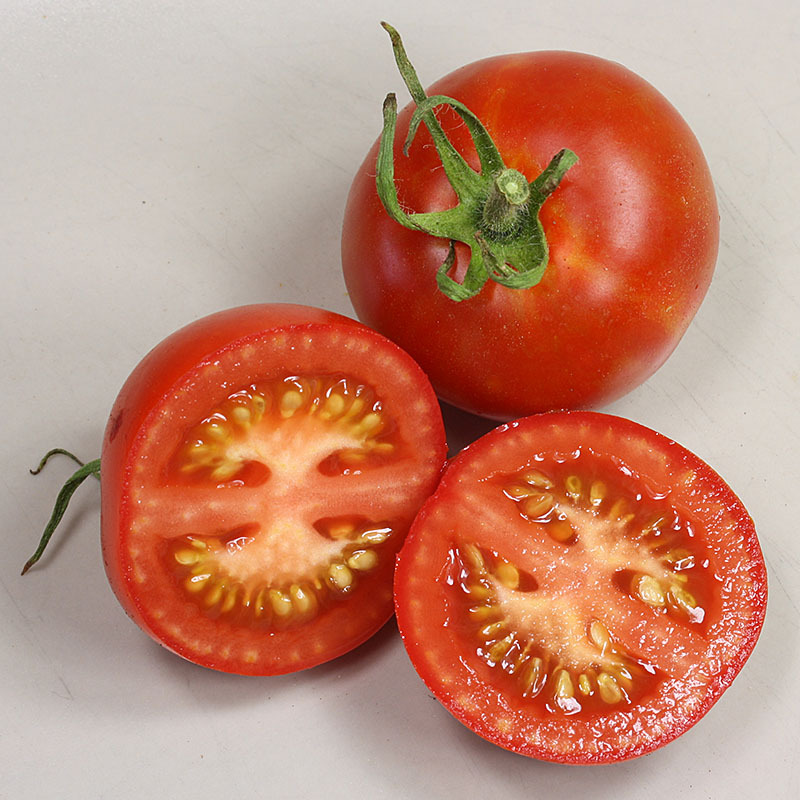 Their fruits provide an excellent flavour which fully develops when the tomato enjoys a long cultivation period. 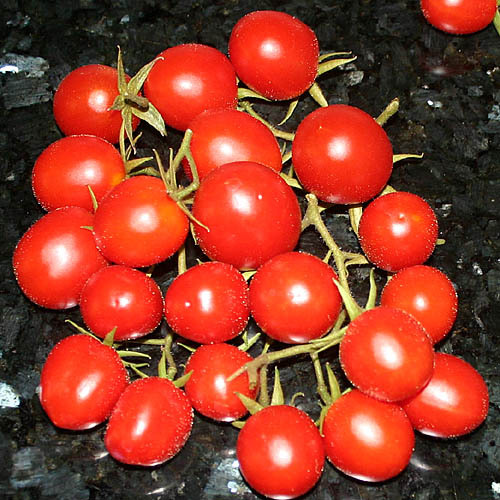 Red Cherry Red Cherry provides bunches of sweet grapes and can be cultivated by determinated growth. 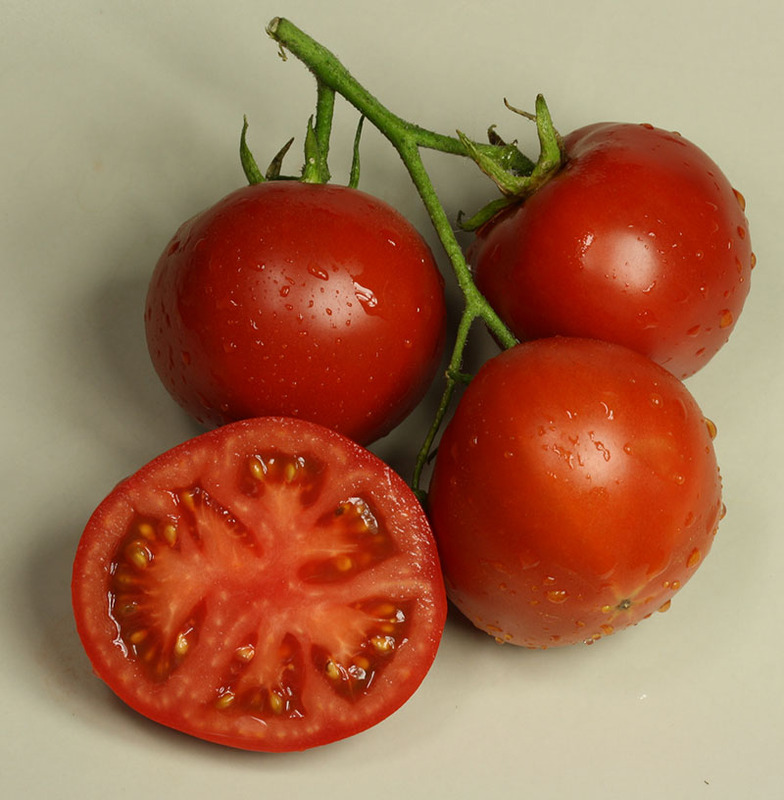 It´s furthermore well-suited to be cultivated in pots. Red Pear "Actually it should be called ""little pear"" since the fruits are only about 5cm long. 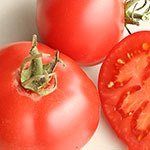 Yet they're very aromatic and their plants provide high yield. 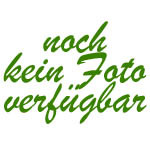 Redfield Beauty 1885 aus Livingstons Beauty selektierte, sehr starkwüchsige, produktive variety. excellents Aroma! 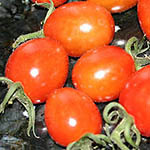 Reisetomate Reisetomate (the traveller´s tomato) is an outstanding fruit! It is composed by a series of unique elements as you can estimate in the picture. Riesentraube Old German heirloom which was brought by emigrants into the US. 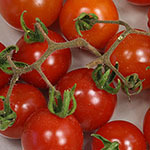 Their plants provide masses of nicely tasting cocktail tomatoes. 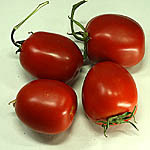 Rio Grande Longish, tight vine tomato which is excellent to be used for salsas (ketchup). You don't need to pinch out side shoots, just in case it starts to heavily build branches, you may take out some of them at an early stage. Verticillium infection resistent! 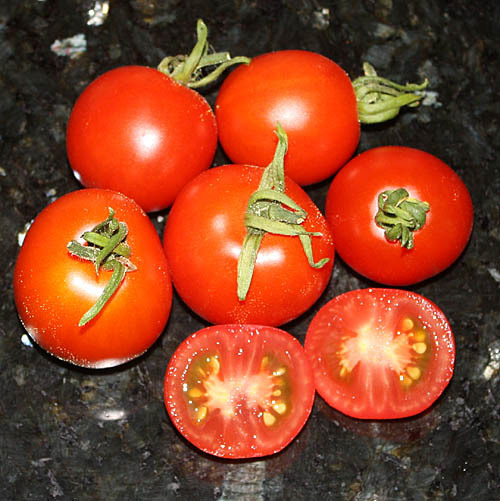 Roma Very good growing and cropping variety that provides longish, slightly pear-shaped fruits. 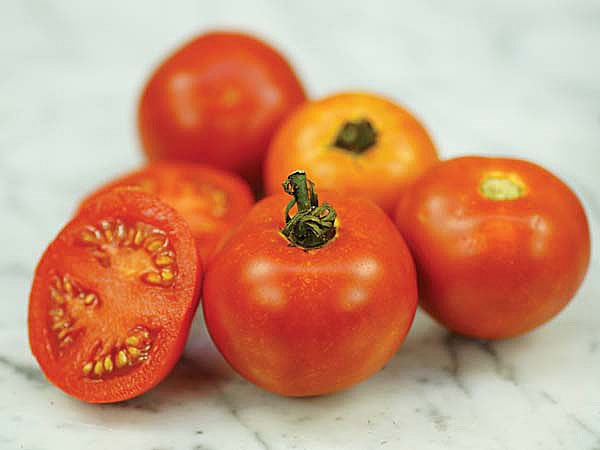 Classic tomato for salsa that can be easily peeled. 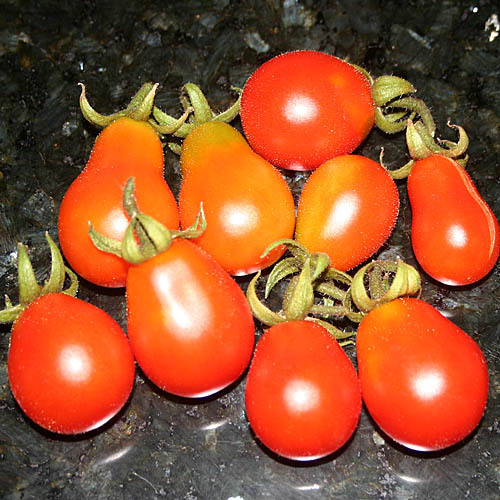 Rosalita Red grape tomato with strong growth and high yield. 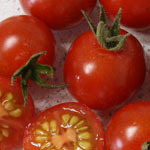 Their fruits provide an excellent flavour. 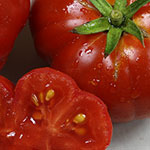 Rosso Sicilian Strongly corrugated Italian Heirlow with about 150g of weight per fruit. Their side shoots doesn´t have to be pinched out. Rutgers Old variety with oustanding taste. 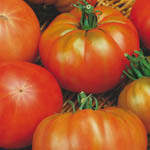 Saint Pierre Large tomato from the North of Spain, very good taste. 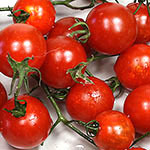 San Marzano Very productive Italian tomato variety with excellent taste, good for canning and any sauce production. 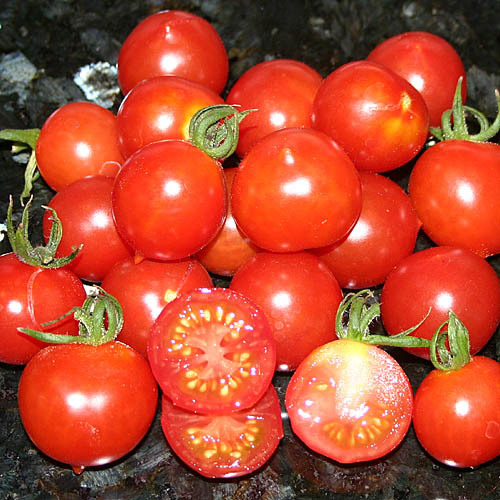 San Marzano Nano Excellent tomato variety from Italy which is very well suited to produce juice for salsas. Schlesische Himbeere Old heirloom from Silesia. 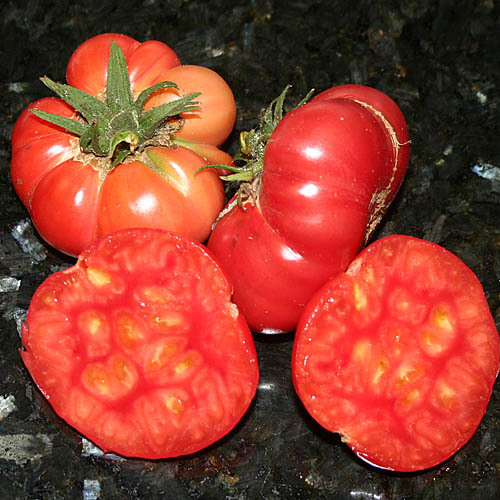 Early beef tomato with a nice flavour, their fruits ripen to a ruby colouring. Sibirian Very early tomato variety that doesn´t grow very high. 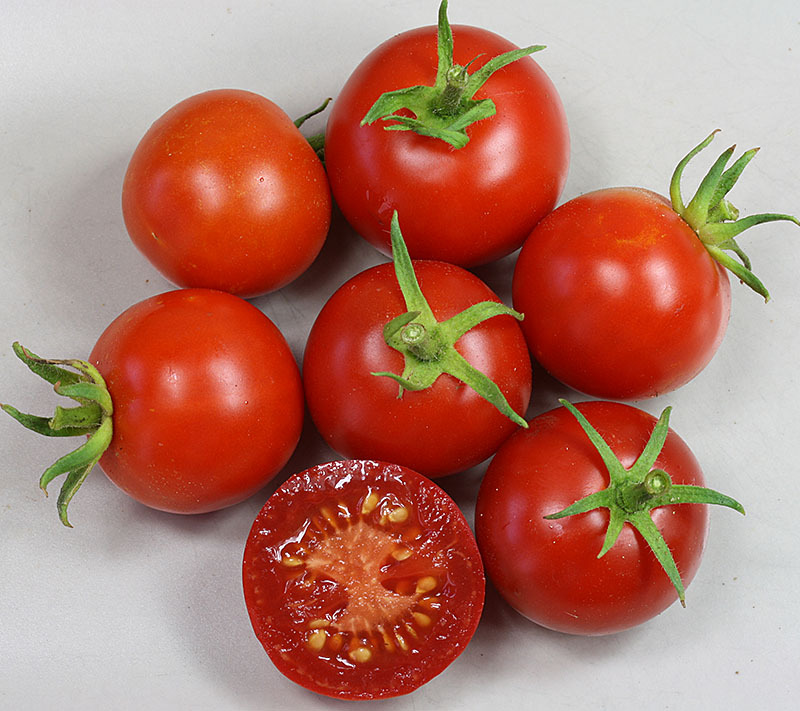 Their full-red colored and medium-sized fruits provide a delicious flavor. 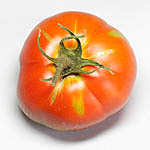 Sioux This tomato variety has been produced since 1944 in the United States of America. 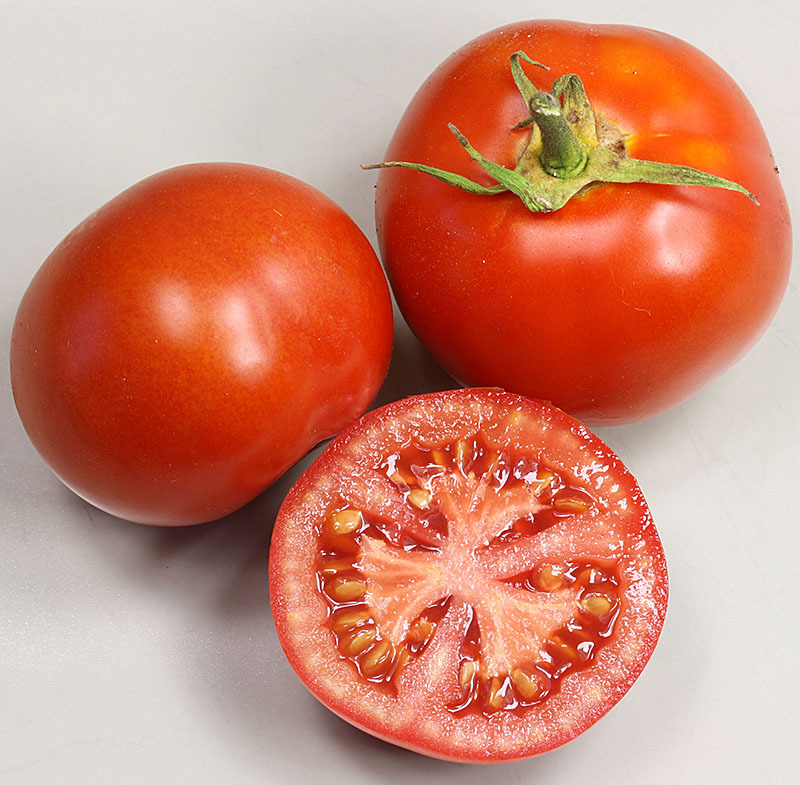 Their full-red colored fruits provide an excellent flavor and grow up to a weight of 150g per tomato. High yields! 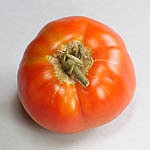 Soldacki Old Polish Heirlow which was brought to the US around 1900. 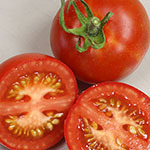 Their plants provide big and beefy fruits with an excellent sweet taste. 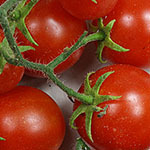 For further information about the cultivation please consider the general advice on our homepage. 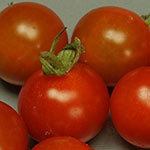 Sprite Grape tomato variety with high yields that provide small, oval fruits with a thin shell and a very sweet taste. Stupice Tomato variety that was cultivated in the early Czechoslovakia. 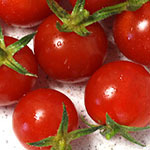 Their plants provide medium-sized aromatic fruits during a long period of time till night frost arrives. Sugar Lump Old heirloom with small, sweet cherry tomatoes, also known as Gareners Delight, high yields. To eat directly from the plant. 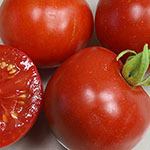 Sugar Plum A cocktail tomato with excellent flavor! 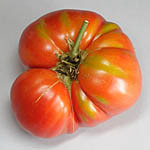 Super Marmande Big, corrugated tomato with excellent taste. 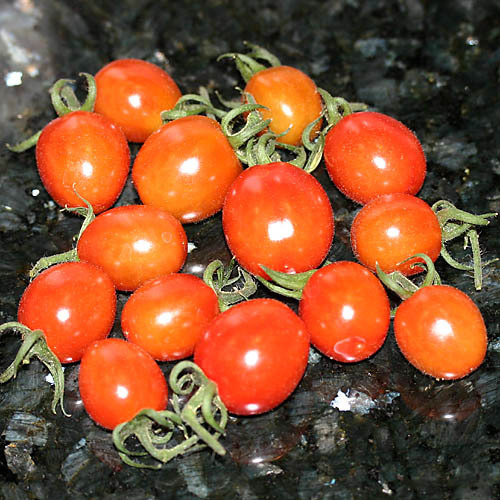 Sweet Million Cherry tomato with high yield as well as a very aromatic and sweet flavor! 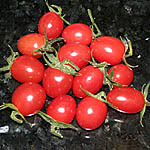 Sweetie Very productive cherry tomato from USA. 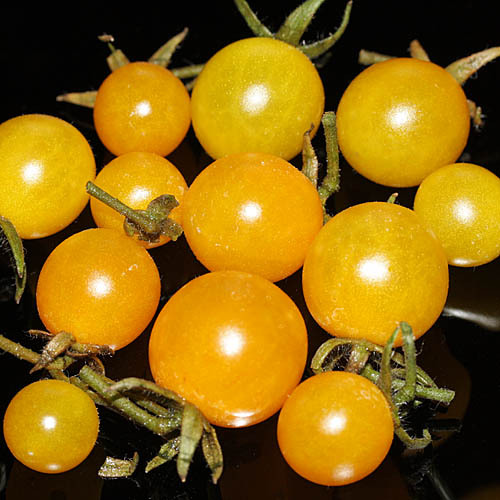 Very good taste, small sweet fruits! 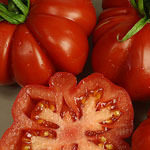 Thessaloniki Big beef tomato with very nice flavour from Greece. 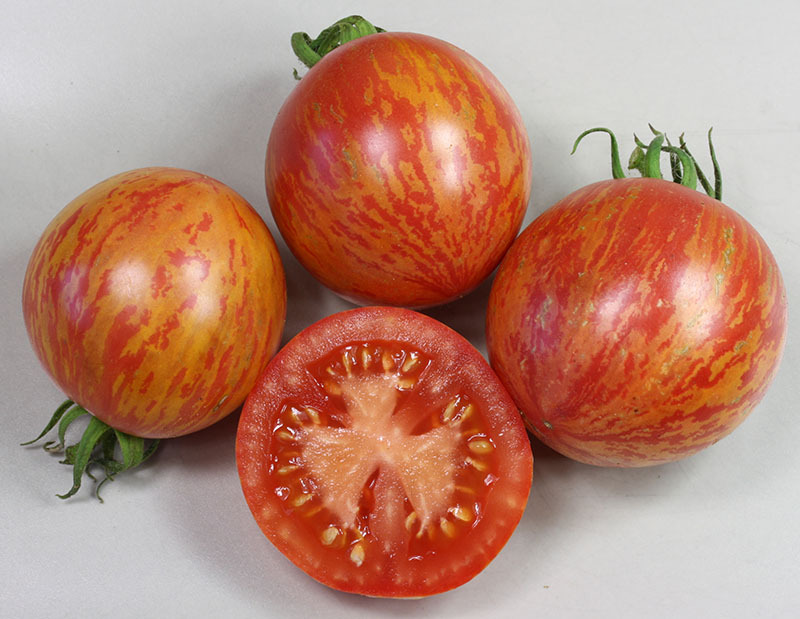 Tigerella Very beautiful tomato variety with clearly designed yellow-orange colored stripes. Their fruits provide an excellent full flavor. 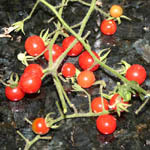 Tiny Tim Very early bush tomato variety that produces masses of tiny sweet cherries. 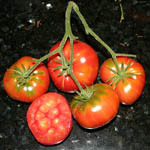 They are well suited for container cultivation. 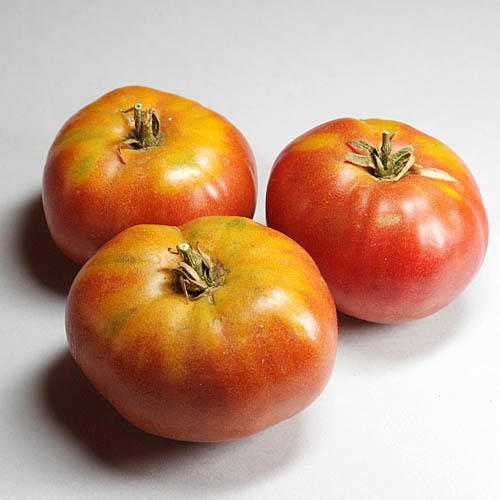 Tres Cantos This Spanish variety produces uniform fruits with a weight of around 200g and a strong composition. 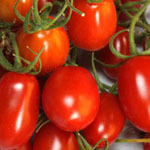 They are very aromatic and can be grown during a considerably long period of time until autumn. 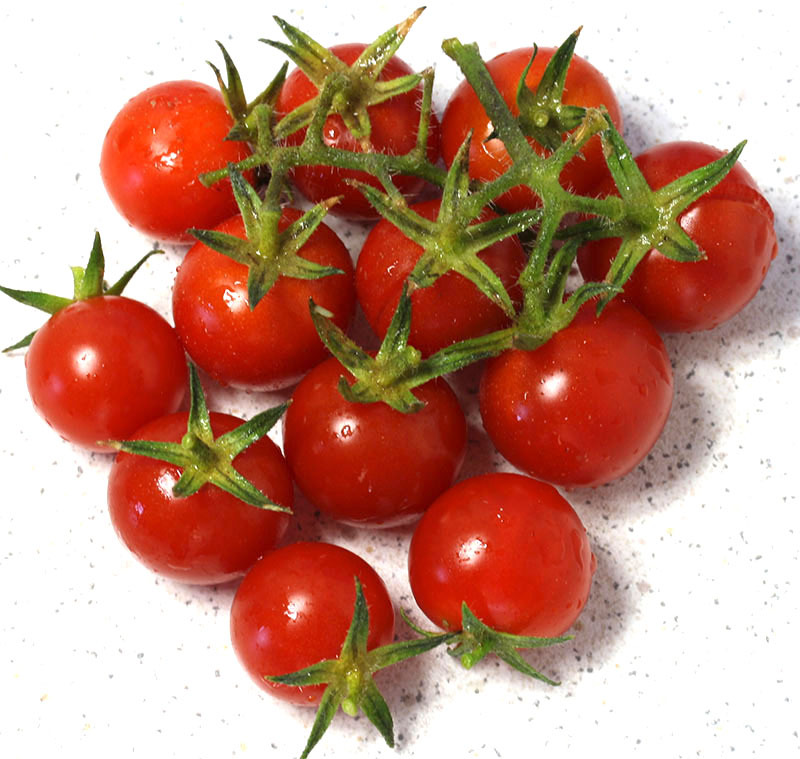 Vesenij Miecheurinskij High growing plants that produce long panicles of sweet cherry tomatoes. Weißbehaarte Alte deutsche Hausvariety, die ein enormes Wachstum und entsprechenden Ertrag hat. 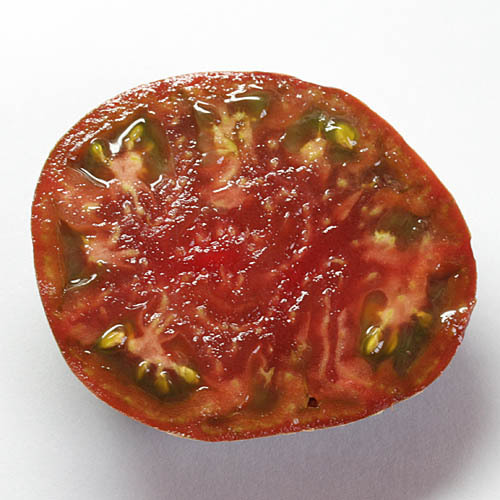 Gut als Salatomato geeignet. 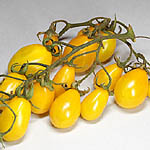 Wendy Yellow tomato from New Zealand that provides high yields. Their fruits have a sweet-sour taste. 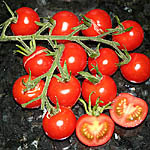 Wildtomate La Palma This cherry tomato comes from the Isle of La Palma (Canary Islands). 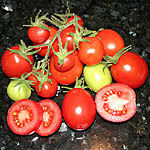 Wild variety that can survive months wihout rain showers and provides an excellent and very sweet flavor! 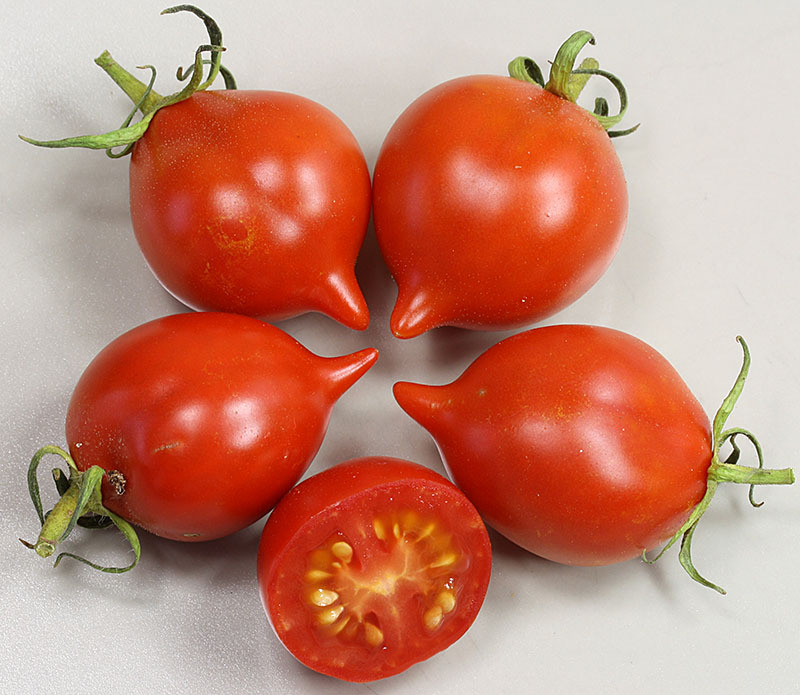 Wildtomate Peru Strongly growing and multi-branched plants with nicely smelling leefs and unusually shaped flowers. They provide small berries with an extraordinary flavor. 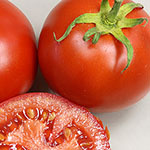 Willamette Von der Oregon State University in den USA entwickelte tomatonvariety mir guter Resistenz gegen Krautfäule. Muss nicht ausgegeizt werden. 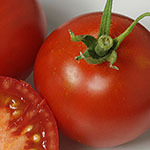 Mittelgroße Früchte mit mildem Aroma. 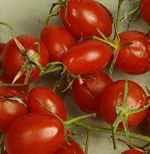 Zahnrad Strongly corrugated old variety that provides large and thick-walled fruits.